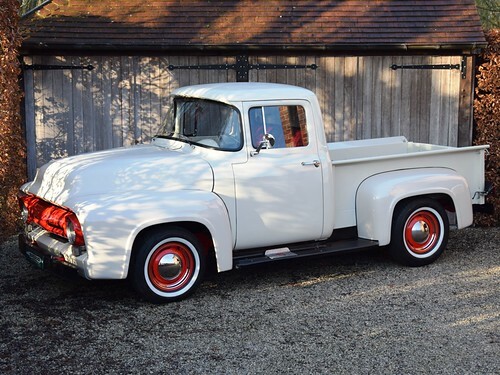 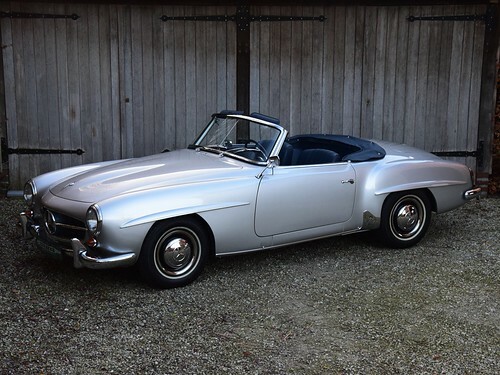 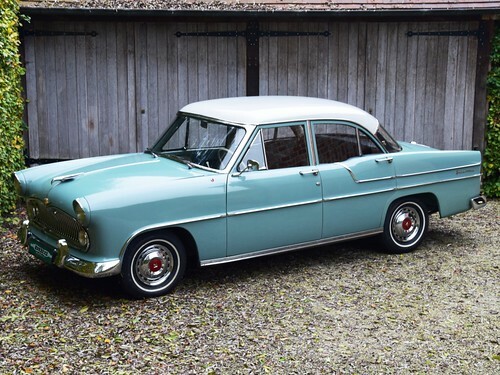 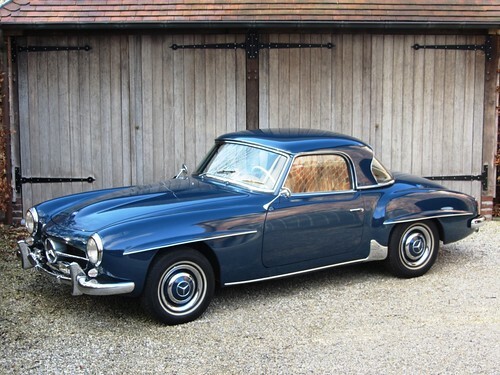 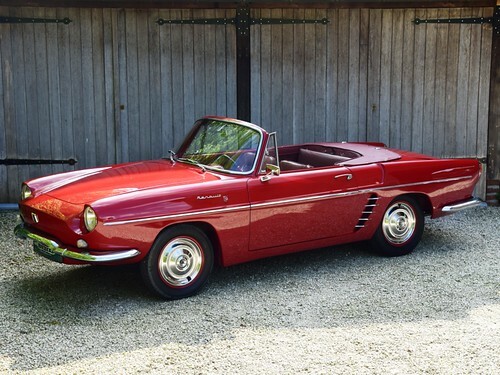 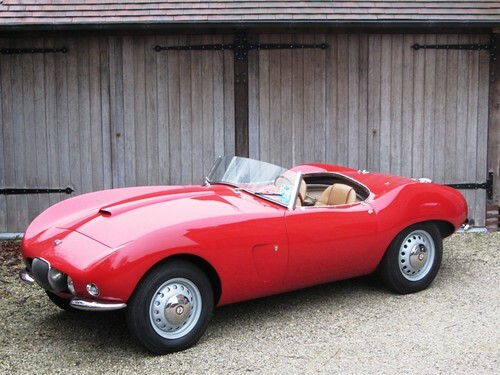 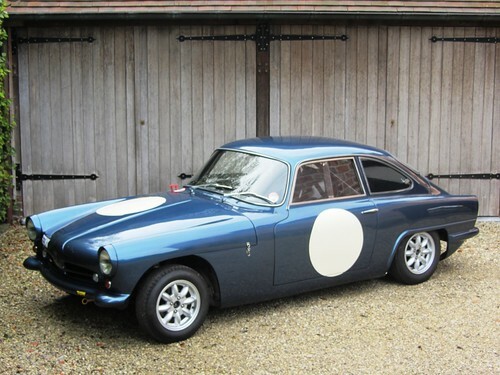 AC Ace Bristol (1957) LHD. 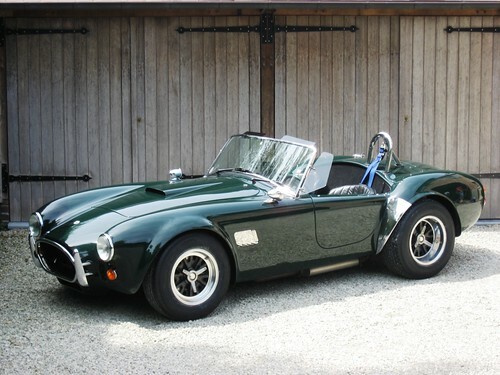 AC Cobra MkIV Lightweight (1995). 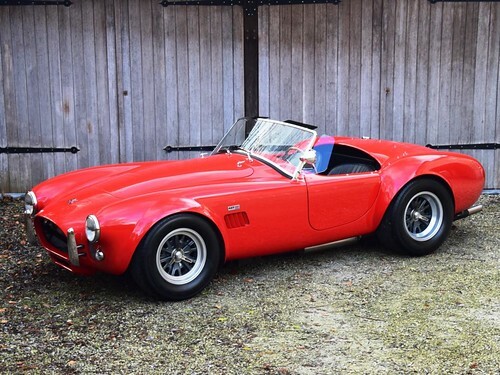 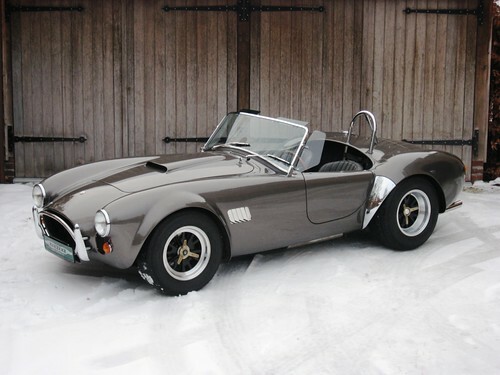 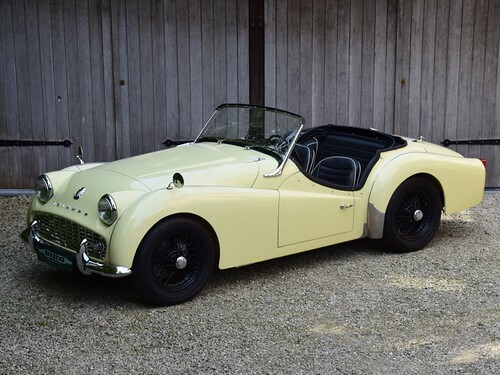 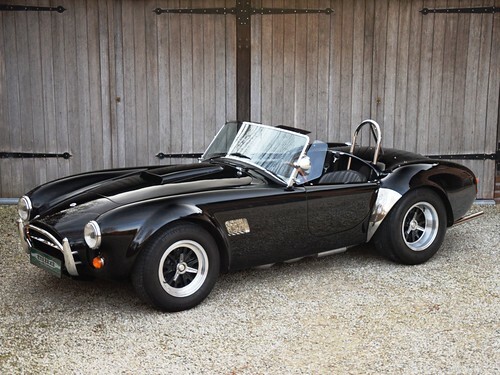 AC Cobra MkIV to Lightweight specification (1988). 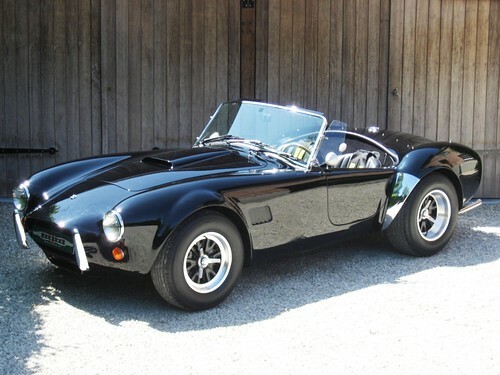 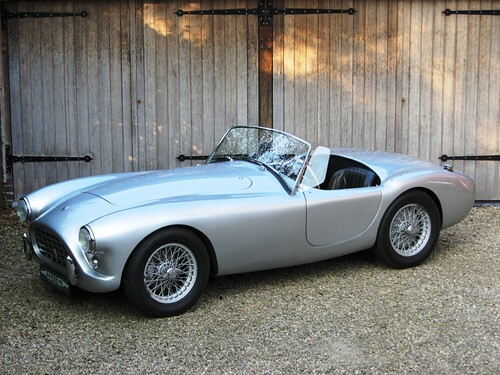 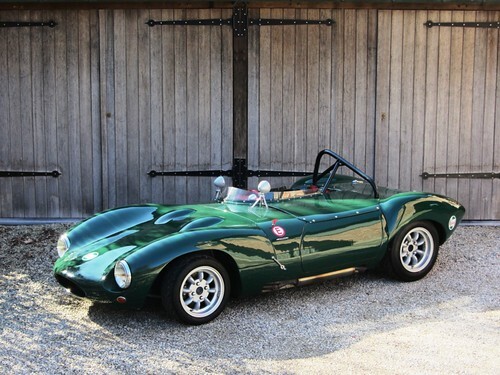 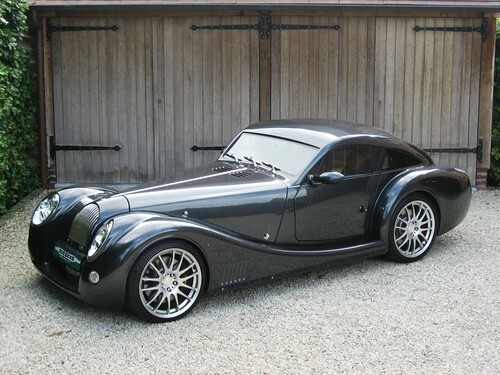 AC Cobra MkIV to Lightweight specification (1994). 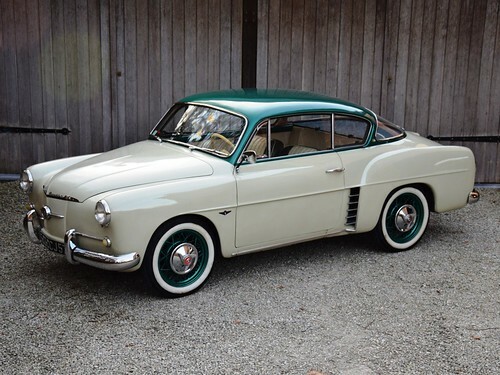 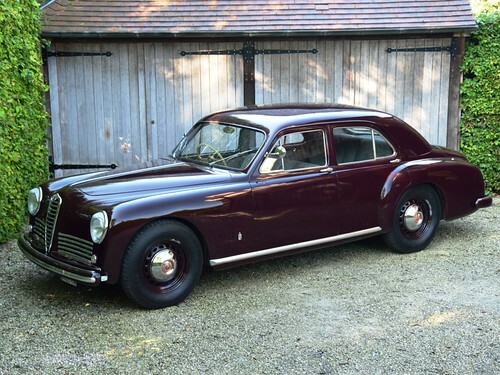 Alfa Romeo 1900 CSS Touring (1954). 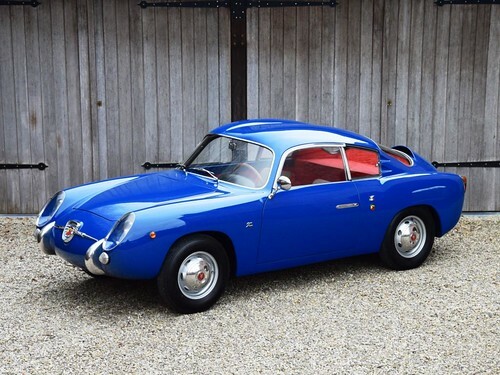 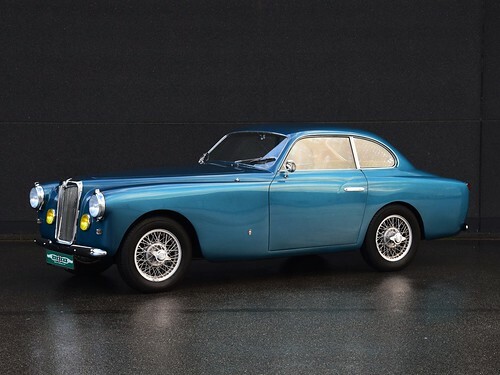 Alfa Romeo 6C Sport Berlina by Pinin Farina (1950). 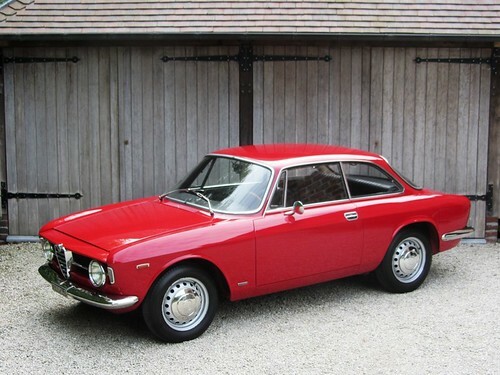 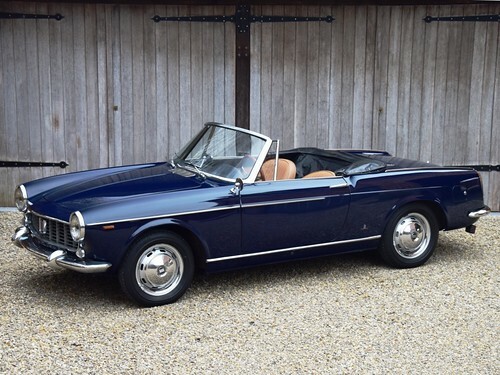 Alfa Romeo GT 1300 Junior "Scalino" (1968). 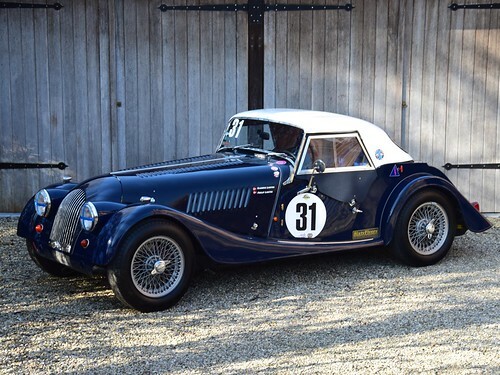 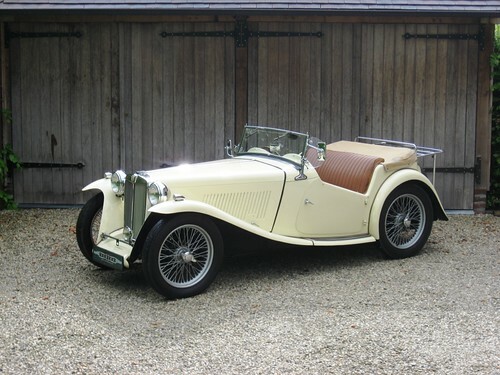 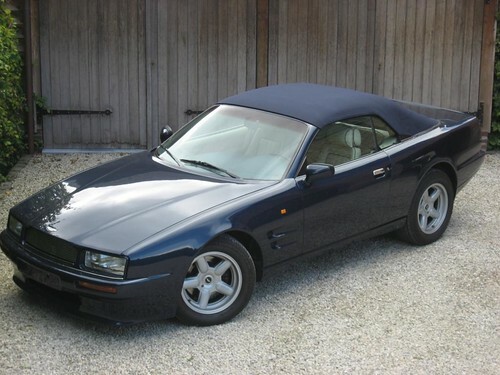 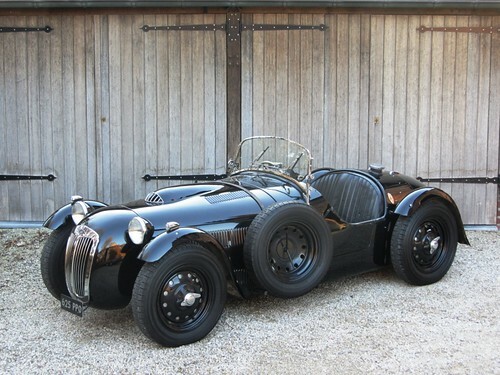 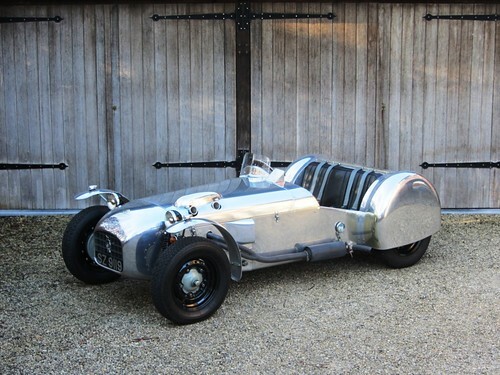 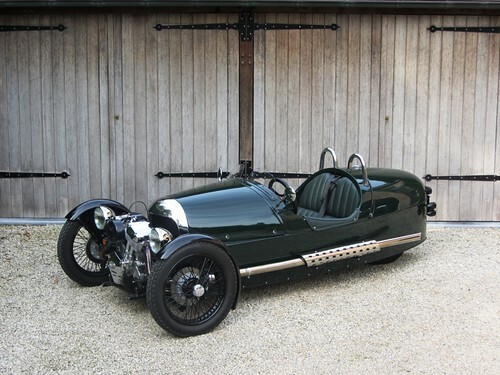 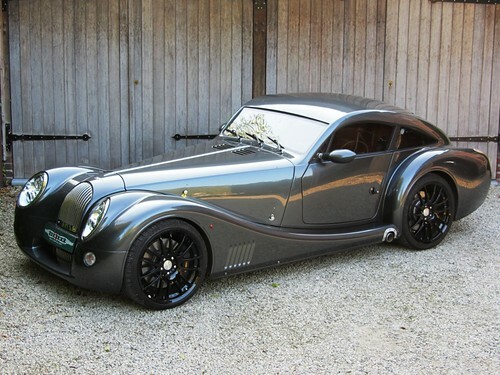 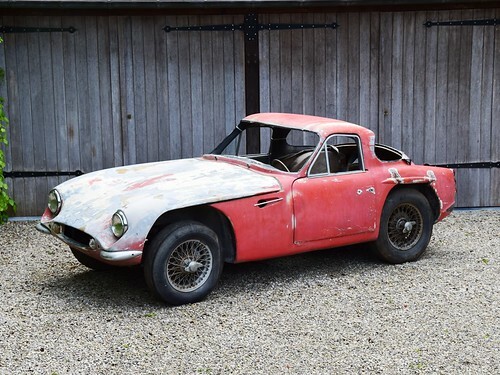 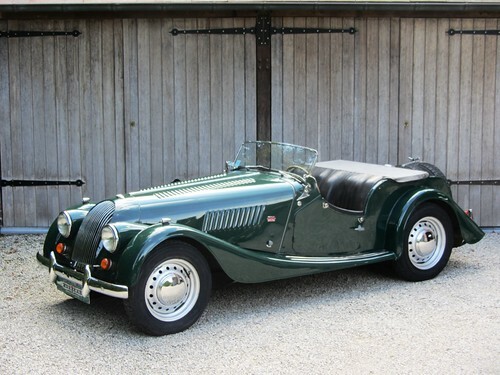 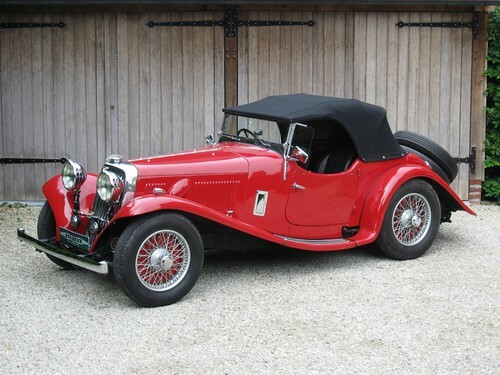 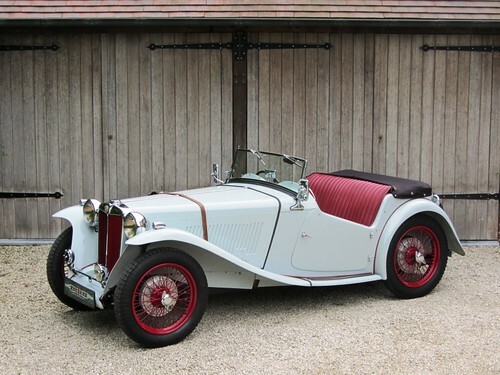 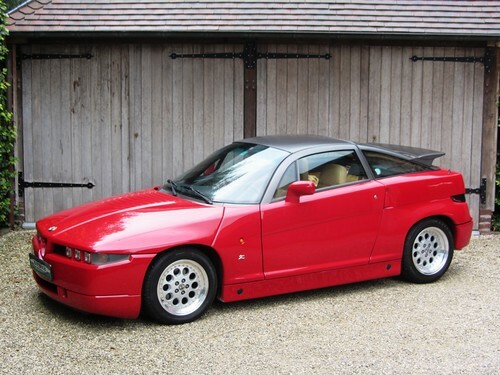 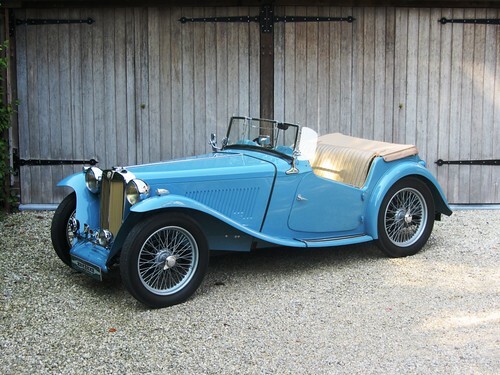 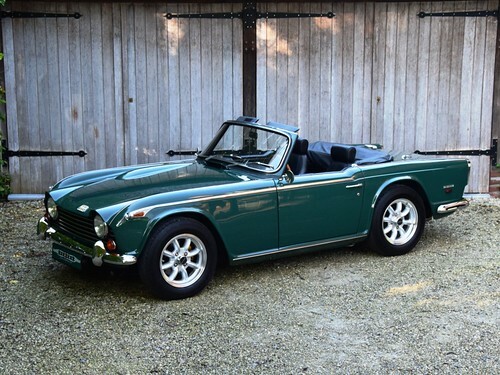 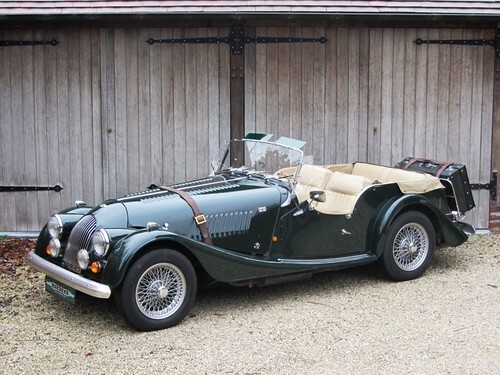 Aston Martin 2 Litre 15/98 Short Chassis 2/4 Seater Sports. 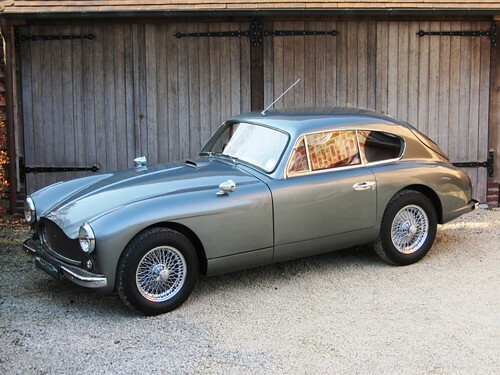 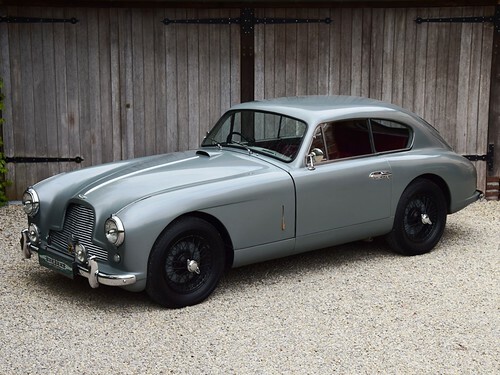 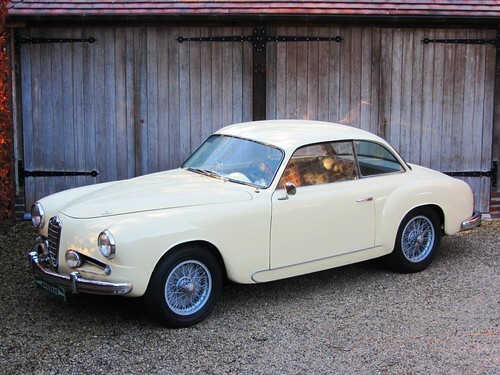 Aston Martin DB2/4 Mk1 Saloon (1955). 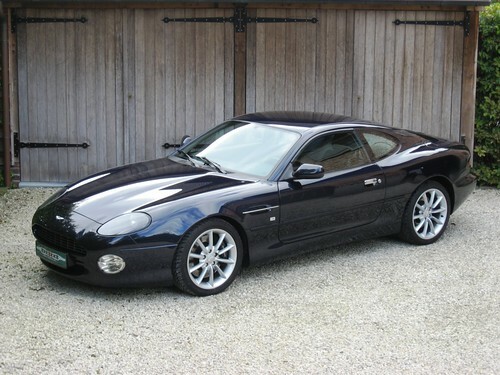 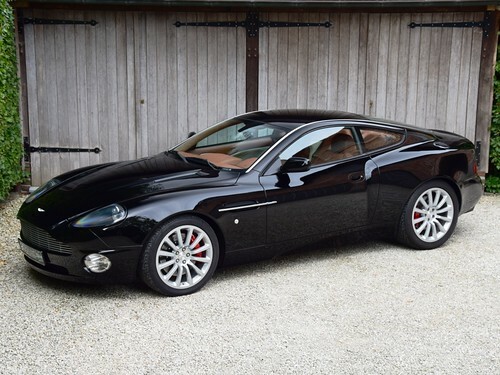 Aston Martin DB7 Vantage (2003). 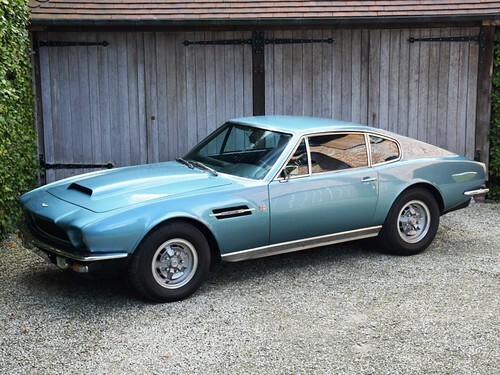 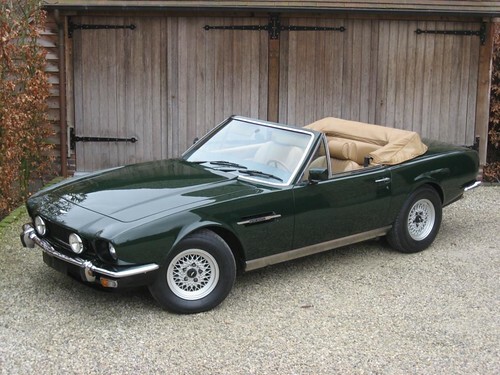 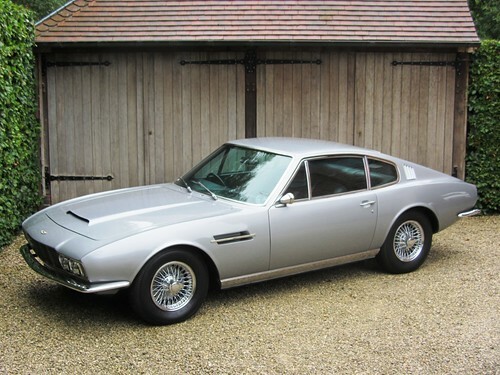 Aston Martin DBS 6 (1969). 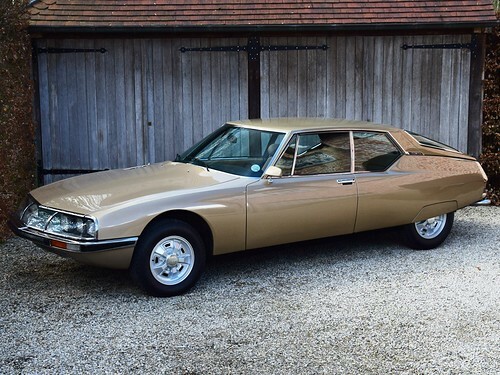 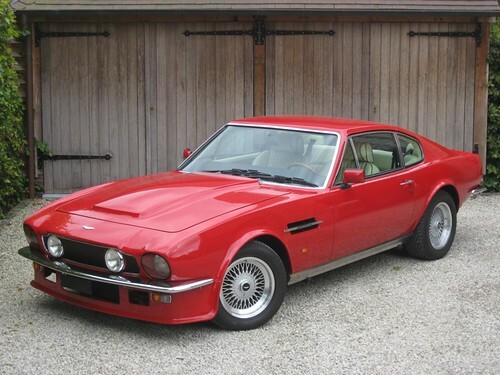 Aston Martin V8 Saloon (1974). 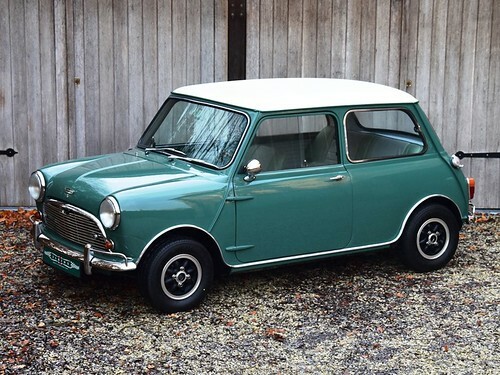 Austin Mini Mk1 Cooper S (1967). 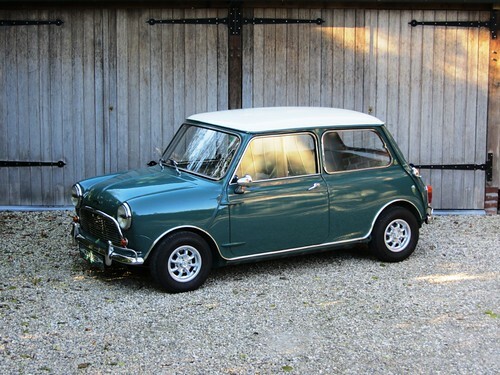 Austin Mini Mk2 Cooper S (1968). 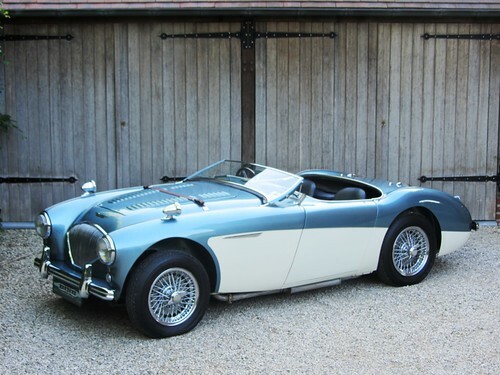 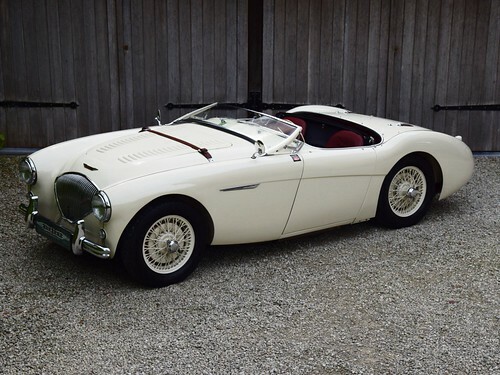 Austin-Healey 100/4 BN1 (RHD) 1955. 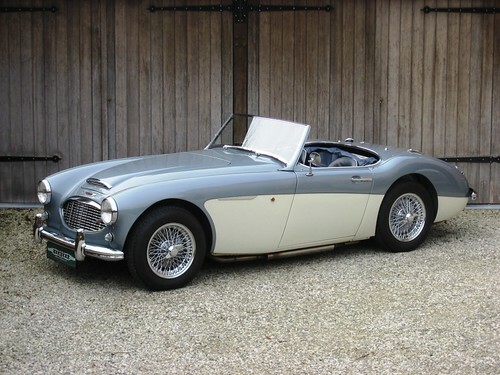 Austin-Healey 100/6 BN4 (1957) LHD. 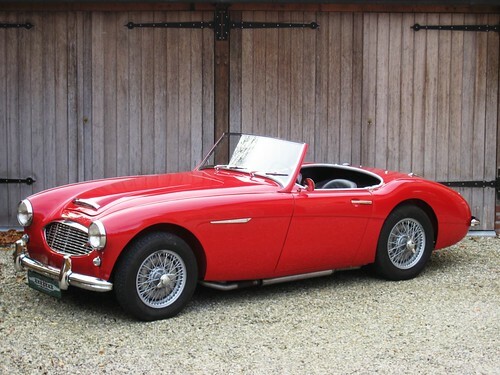 Austin-Healey 100/6 BN6 (1958) LHD. 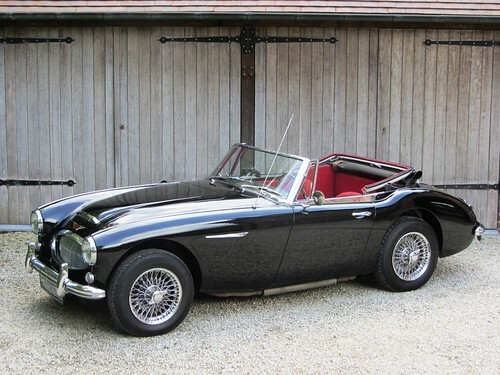 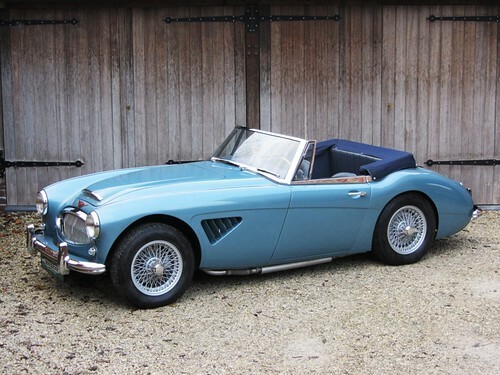 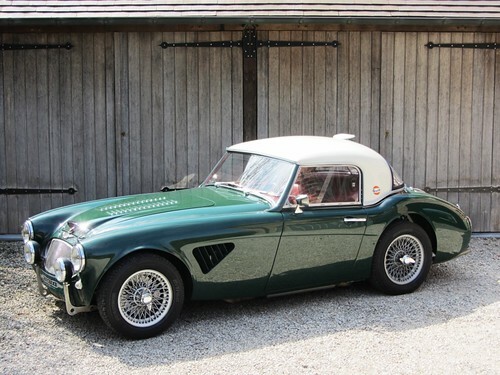 Austin-Healey 3000 Mk3 BJ8 (1964). 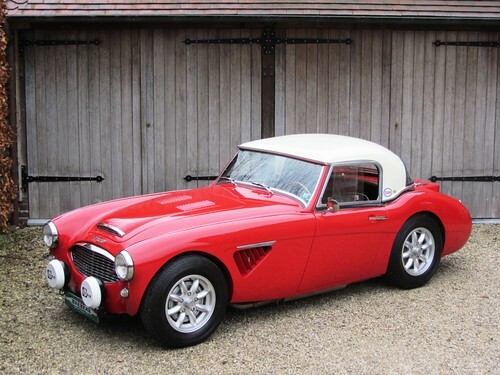 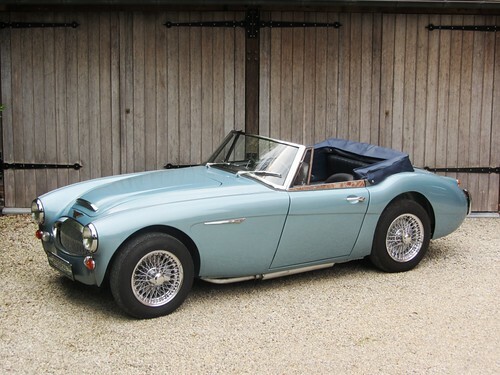 Austin-Healey 3000 Mk3 BJ8 (1967). 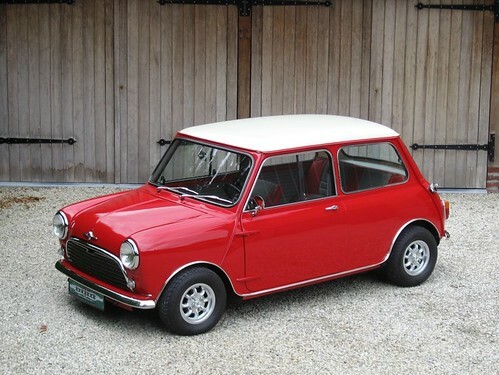 Authi Mini Cooper 1300 (1973) LHD. 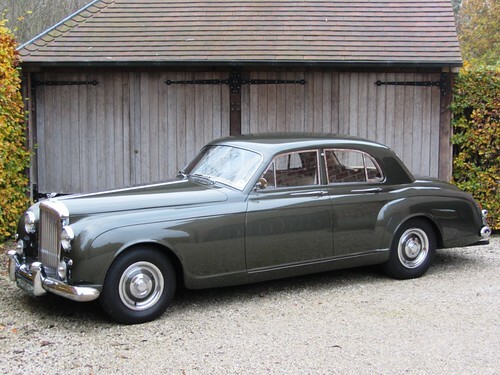 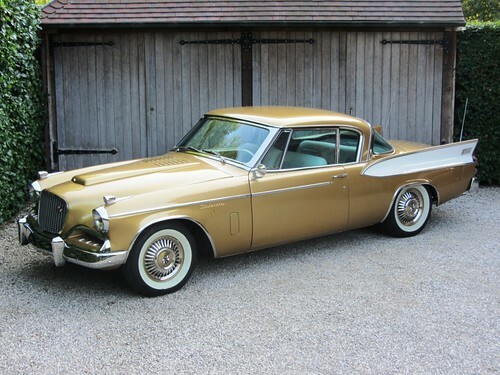 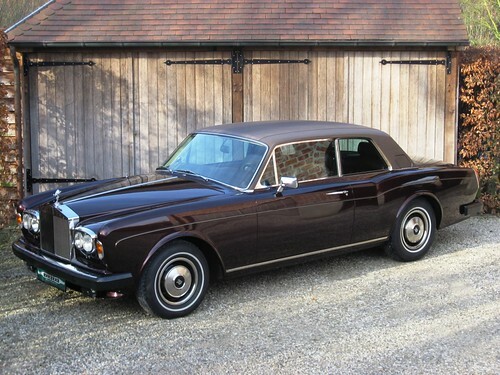 Bentley S1 Continental Flying Spur by James Young (1958). 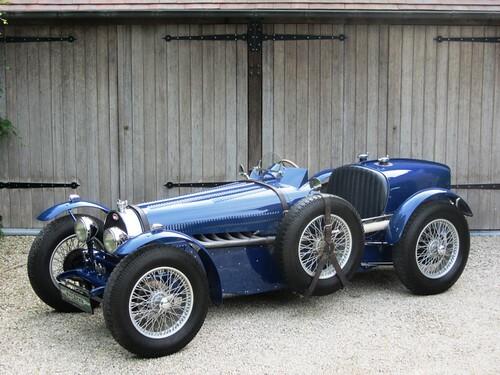 Bugatti T59 by Teal Engineering (1966) RHD. 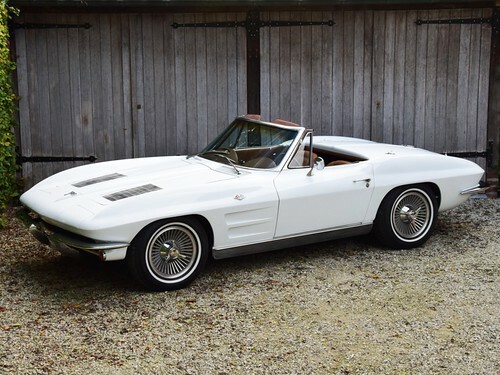 Chevrolet Corvette Stingray Convertible (1963). 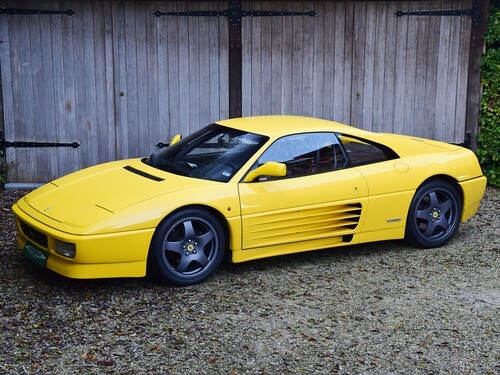 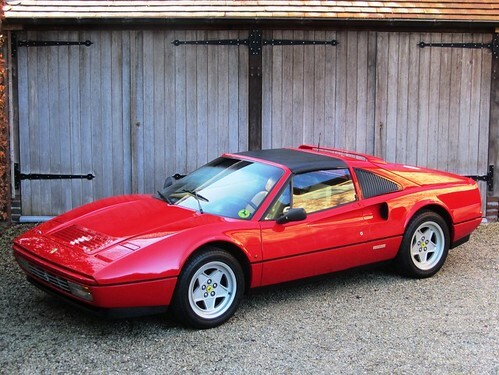 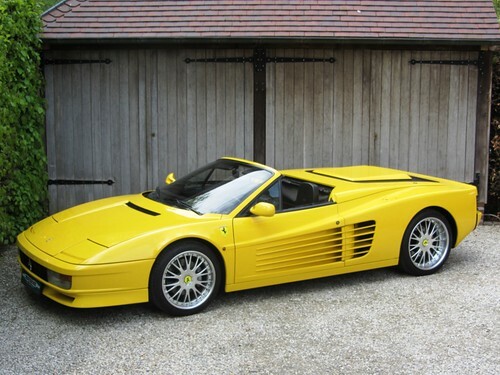 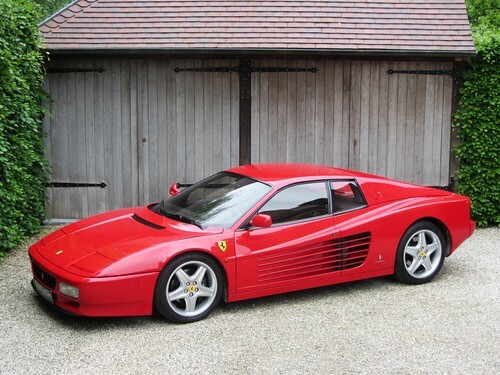 Ferrari 348 TB Challenge (1992). 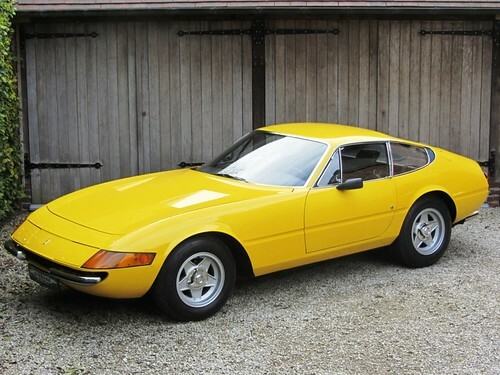 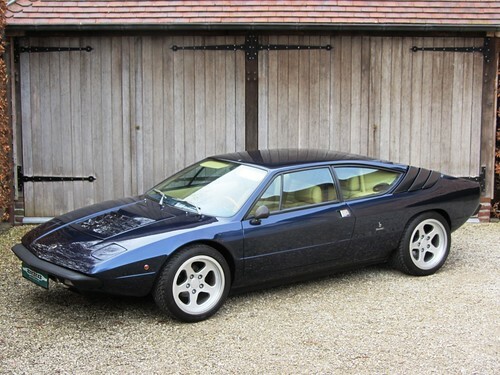 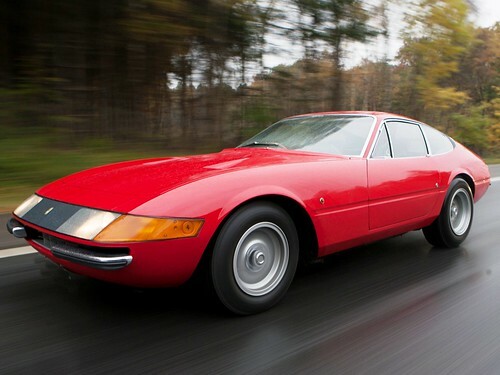 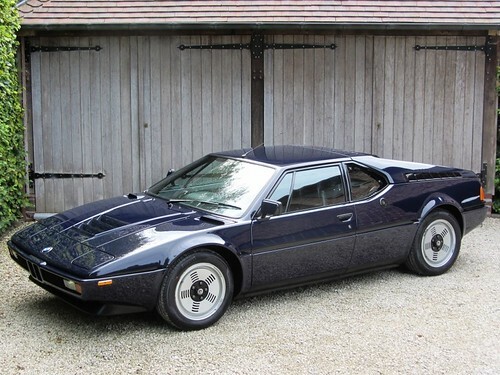 Ferrari 365 GTB/4 Daytona (1972). 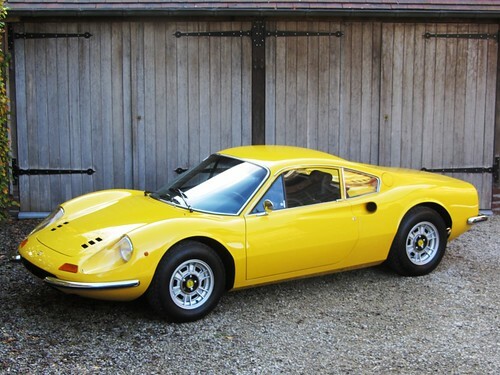 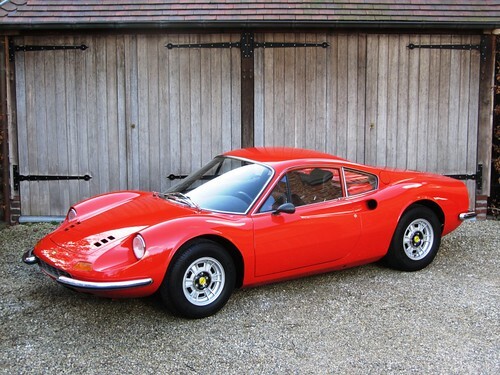 Ferrari Dino 246 GT (1971). 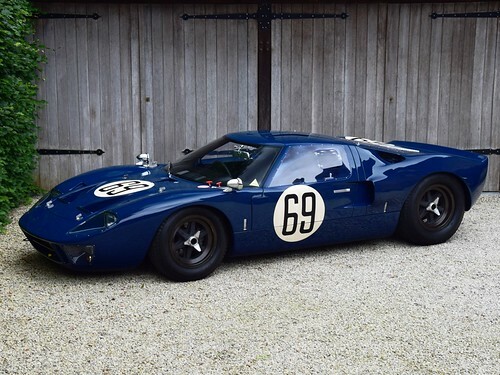 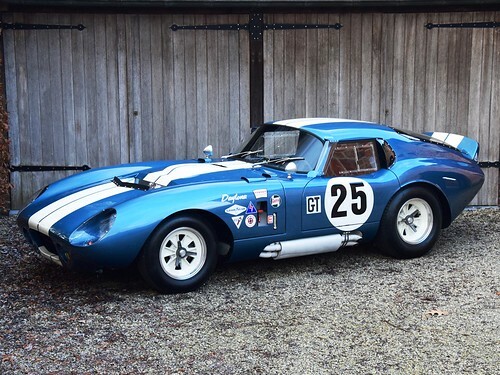 Ford GT40 FIA historic racer (1965). 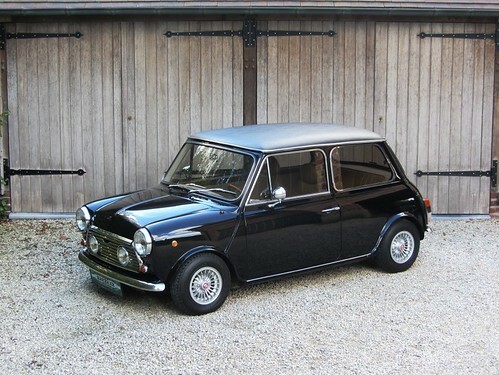 Innocenti Mini Cooper 1300 by Pavesi (1974). 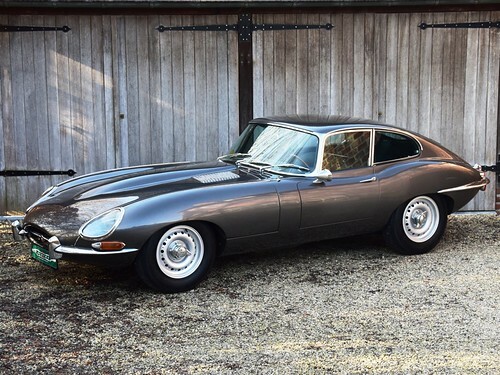 Jaguar E-Type 3,8 Litre OTS (1963). 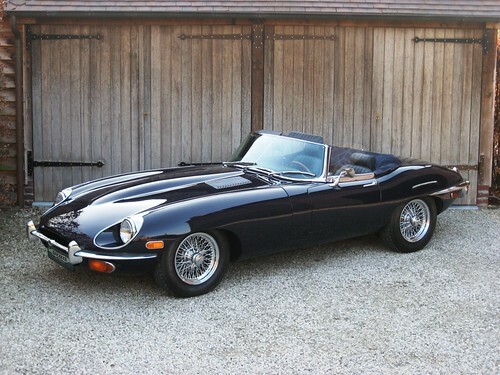 Jaguar E-Type 3,8 OTS (1963). 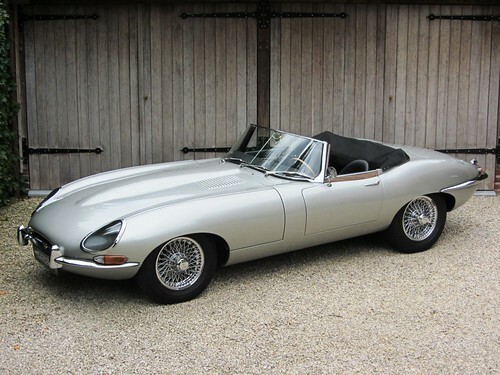 Jaguar E-type 3.8 OTS "flat floor" (1961). 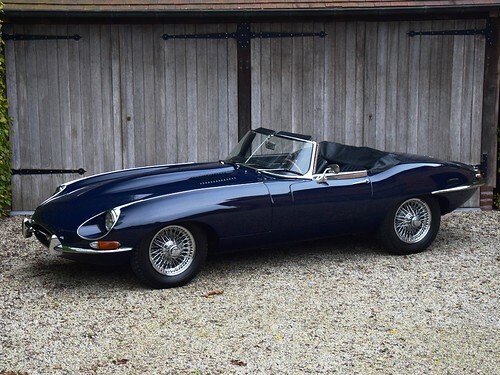 Jaguar E-Type 3.8 OTS (1962). 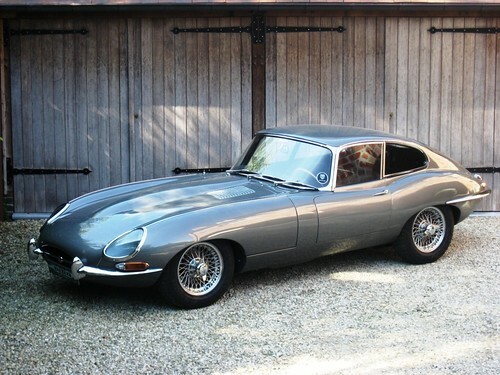 Jaguar E-Type 3.8 Series 1 FHC (1962). 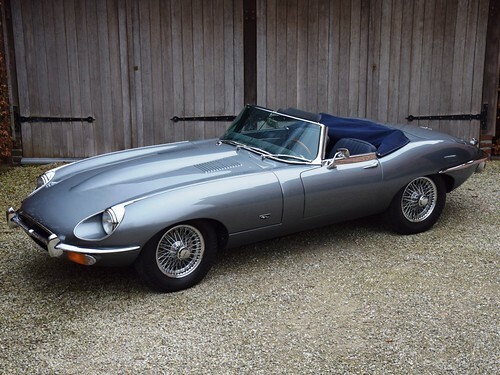 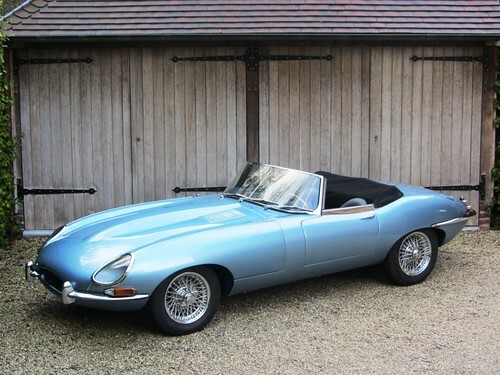 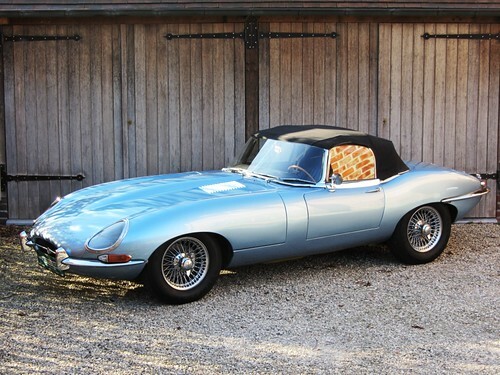 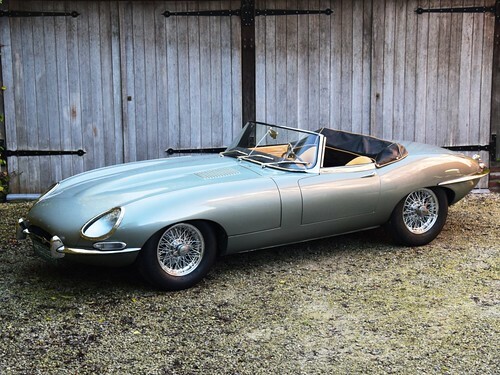 Jaguar E-Type 4.2 Series 1 1/2 Open Two Seater. 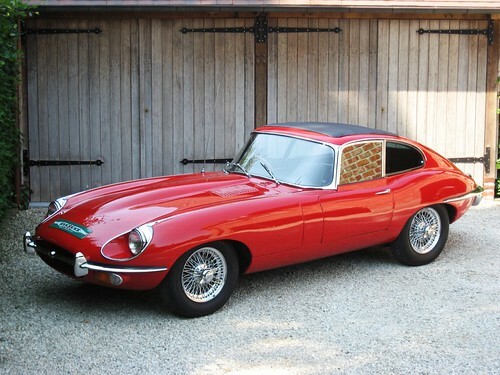 Jaguar E-Type 4.2 Series 1 FHC (1966). 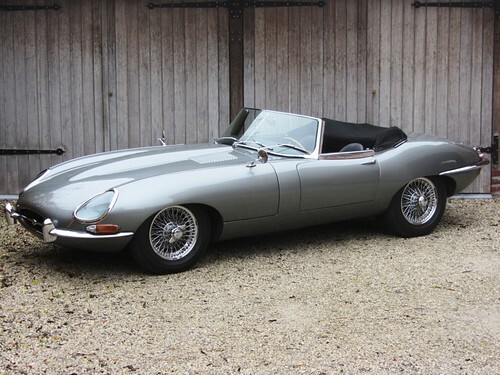 Jaguar E-Type 4.2 Series 1 Open Two Seater (1966). 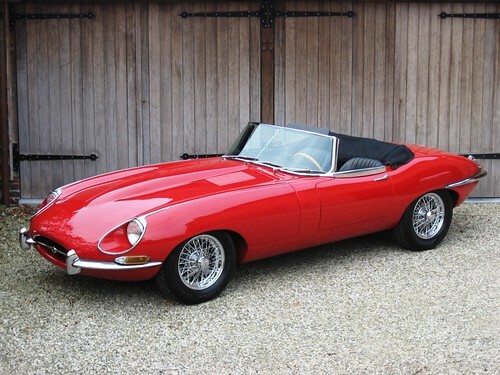 Jaguar E-Type 4.2 Series 1 OTS (1966). 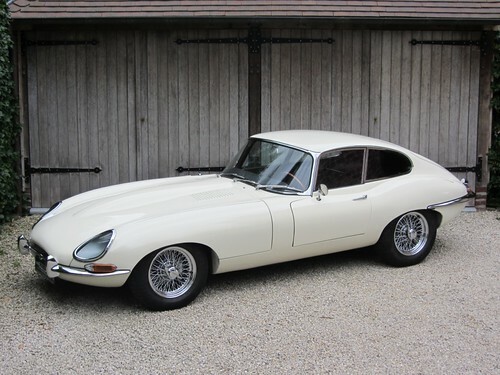 Jaguar E-Type 4.2 Series 2 Coupé (1969) RHD. 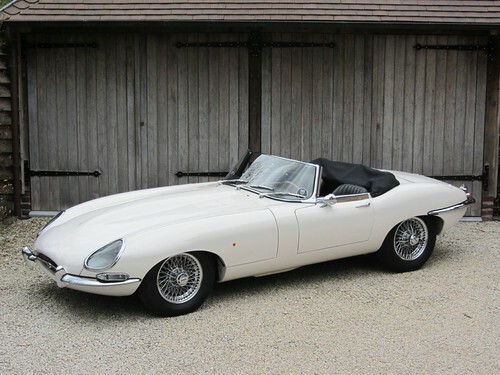 Jaguar E-Type 4.2 Series 2 Open Two Seater. 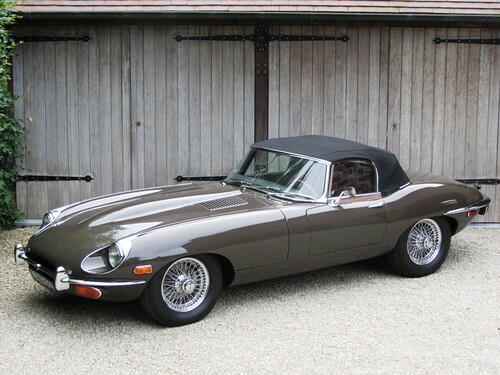 Jaguar E-Type Series II OTS (1970). 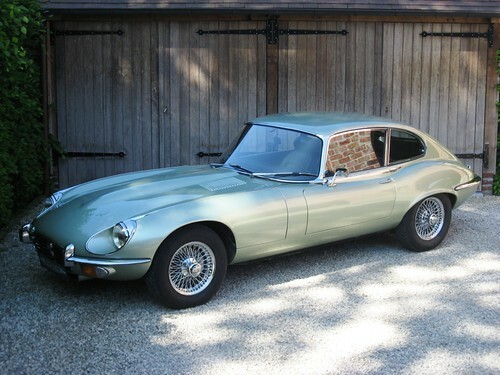 Jaguar E-type Series III V12 Coupé. 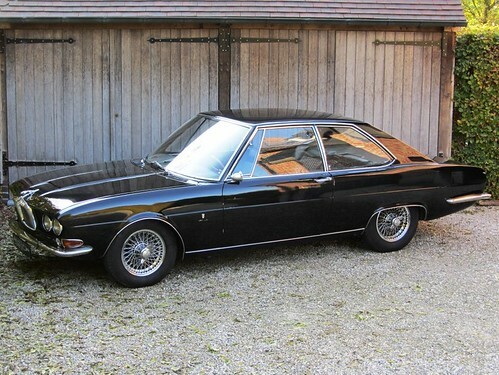 Jaguar FT by Bertone (1967). 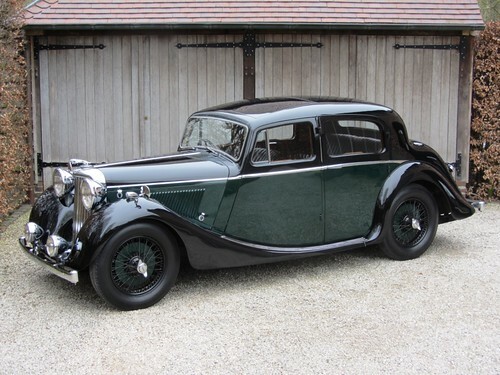 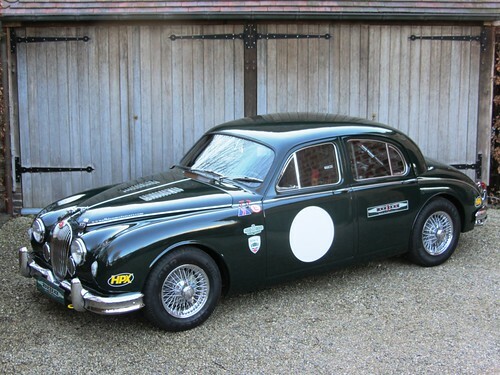 Jaguar Mk IV Sport Saloon 1,5 Litre (1948). 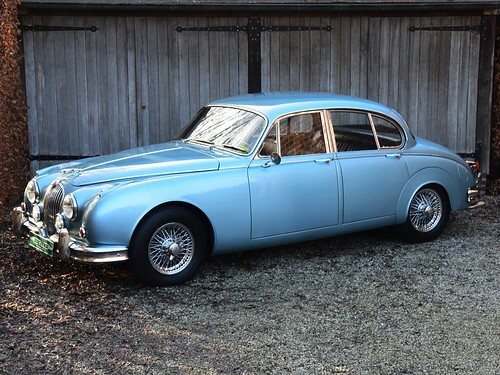 Jaguar Mk1 2,4 Litre (1957). 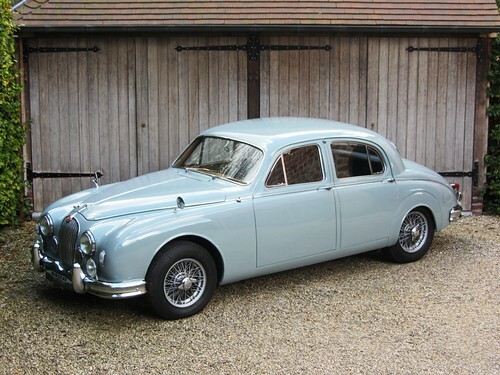 Jaguar Mk1 3,4 Litre (1958). 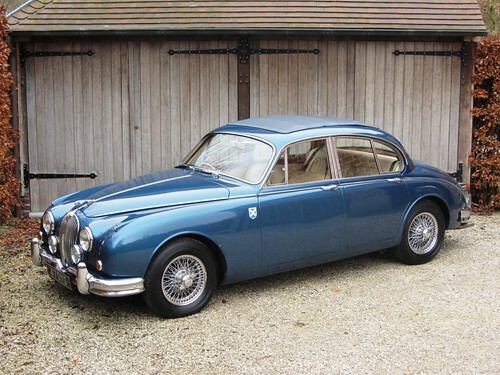 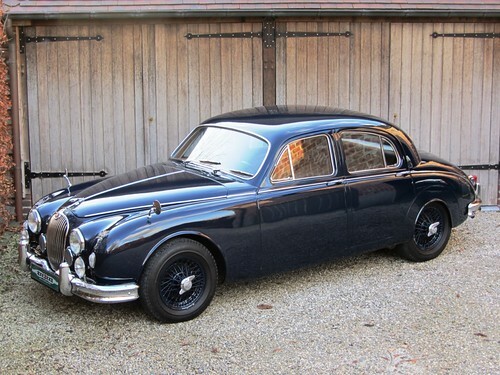 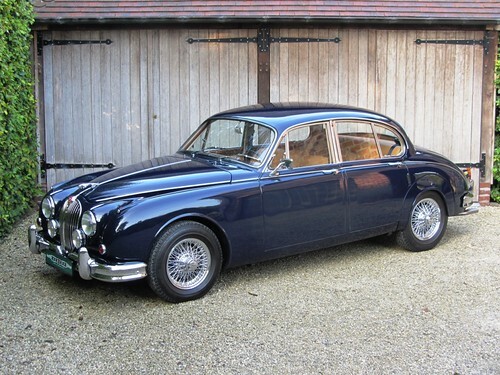 Jaguar Mk2 3.8 MOD (1963). 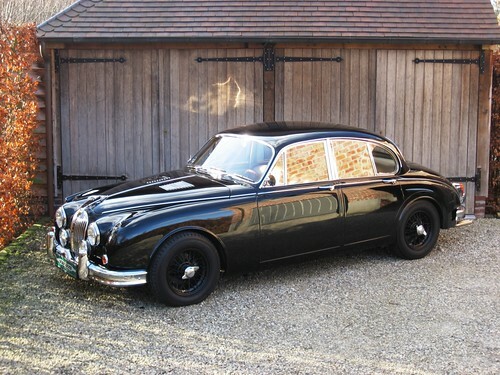 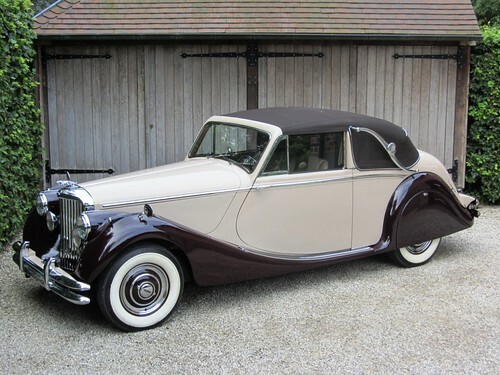 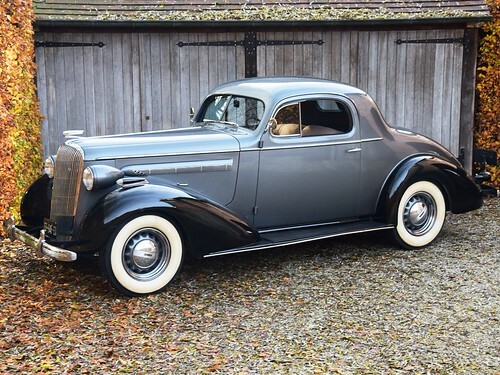 Jaguar MkV 3,5 Litre DHC (1950). 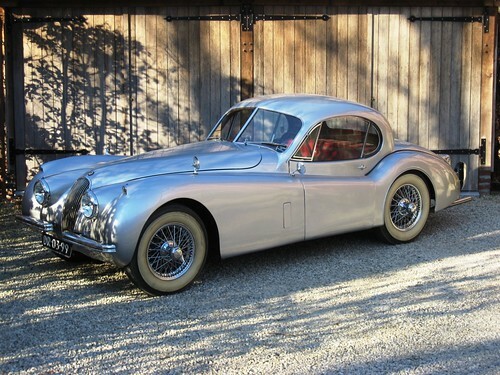 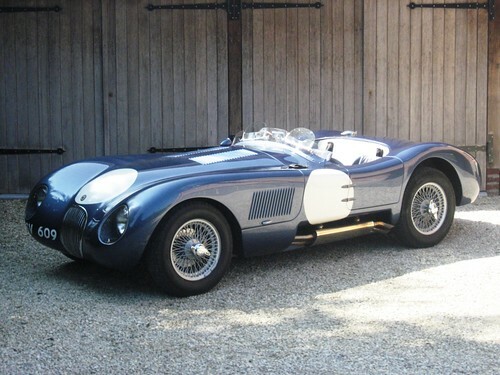 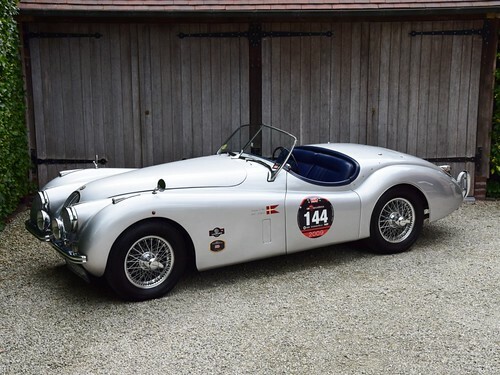 Jaguar XK120 OTS (1952) ex-Mille Miglia. 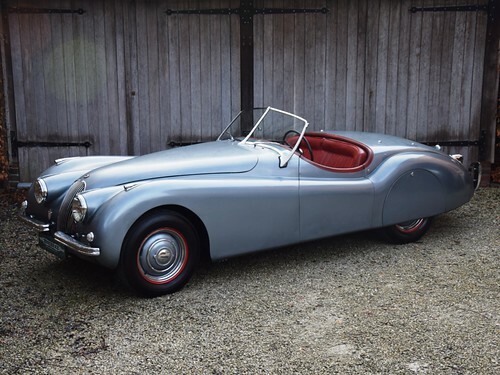 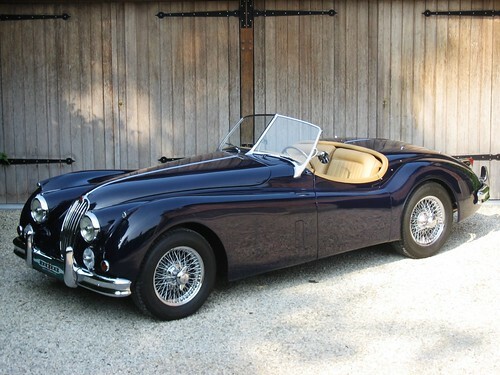 Jaguar XK120 SE FHC (1952). 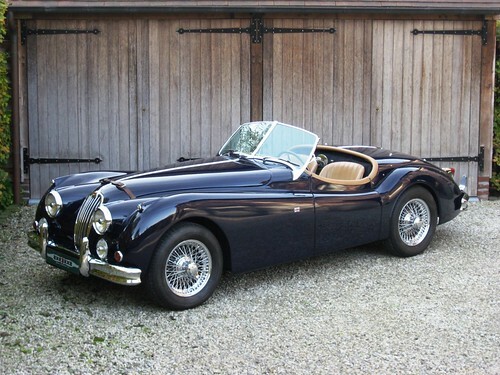 Jaguar XK120 SE FHC (1953). 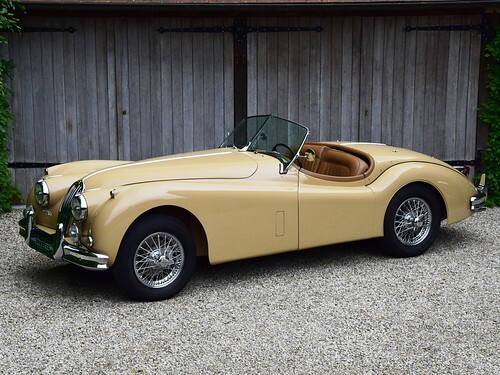 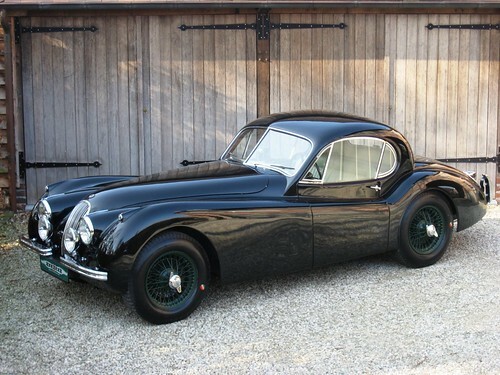 Jaguar XK120 SE OTS (1953). 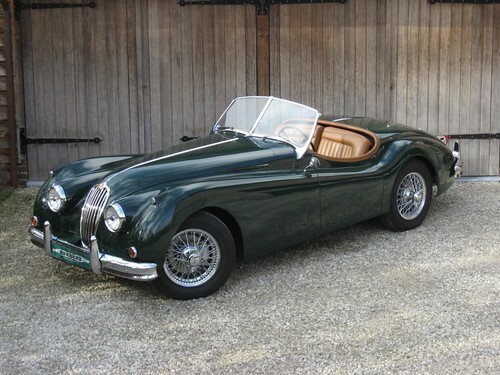 Jaguar XK140 SE DHC (1955). 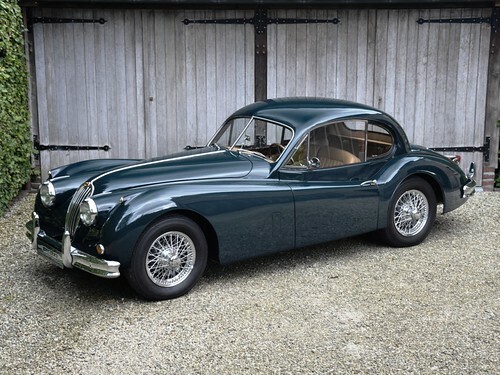 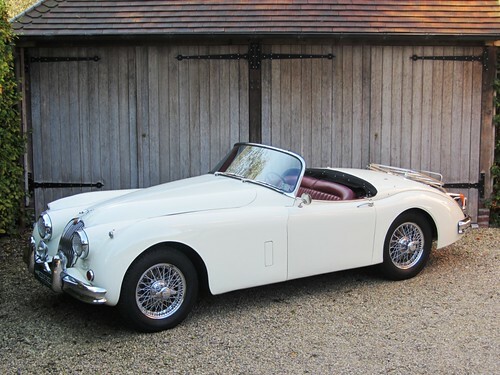 Jaguar XK140 SE FHC (1956). 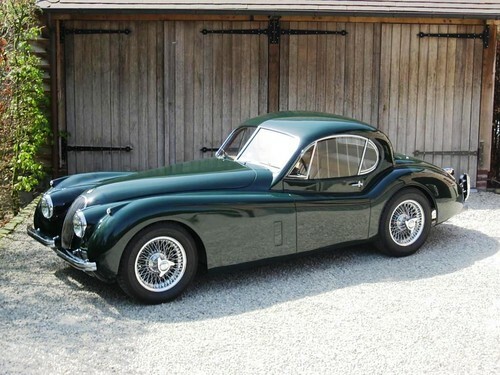 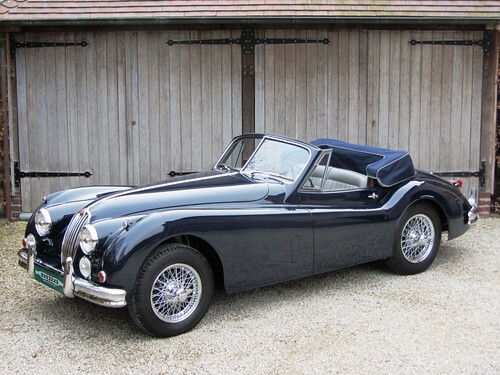 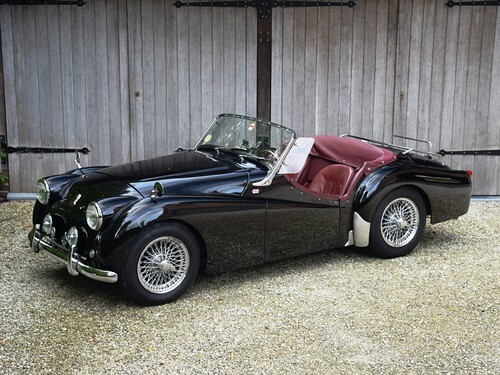 Jaguar XK140 SE OTS (1955) LHD. 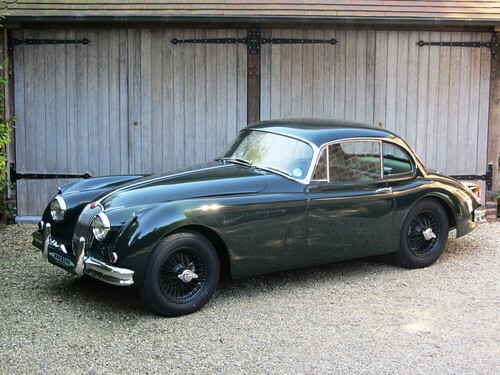 Jaguar XK150 FHC 3,8 Litre (1960). 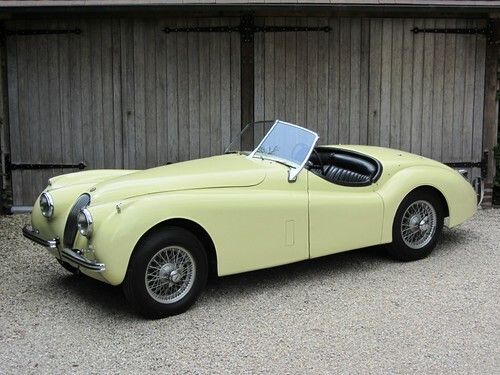 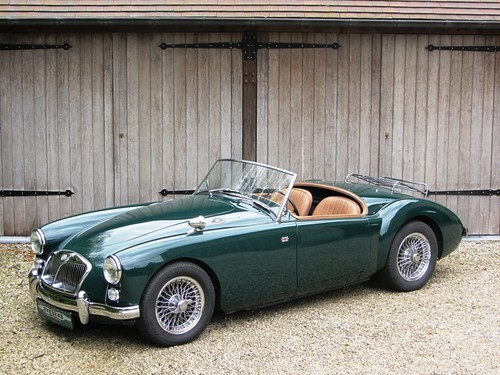 Jaguar XK150 OTS 3,8 Litre (1959). 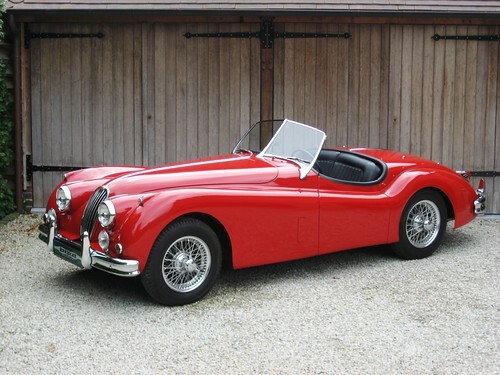 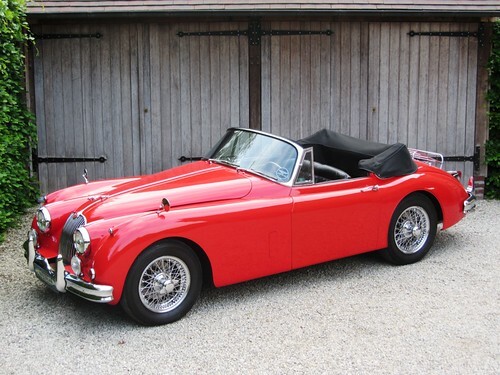 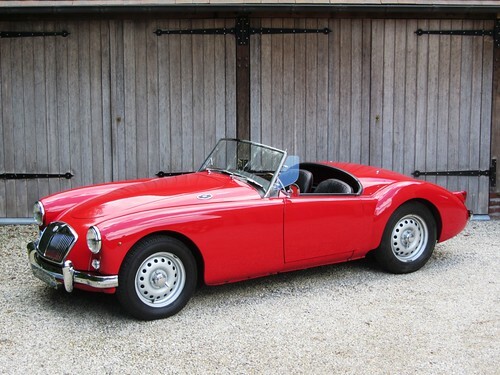 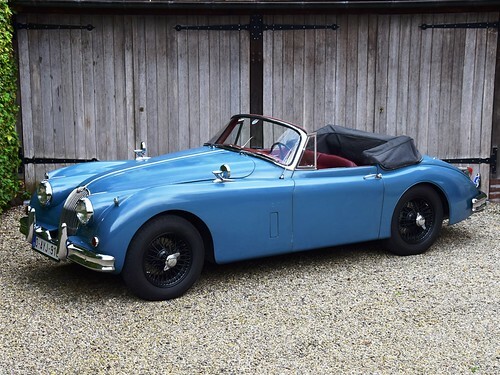 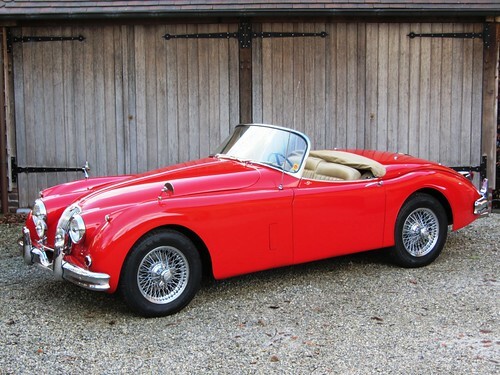 Jaguar XK150 S OTS (1958). 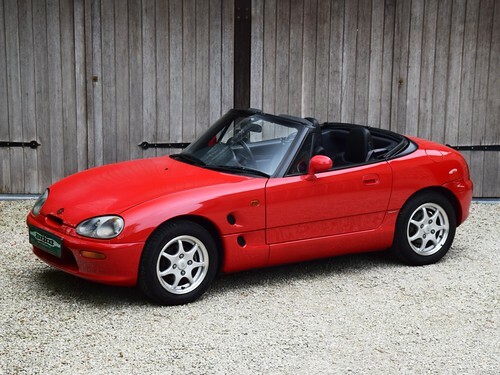 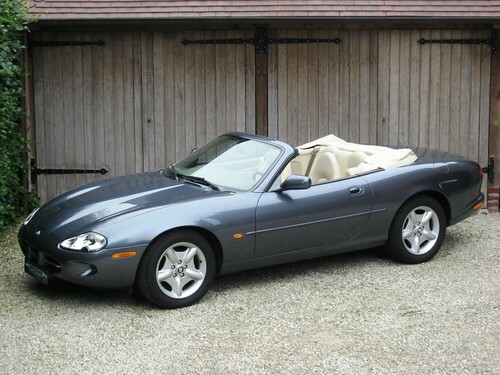 Jaguar XK8 Convertible (1997) LHD. 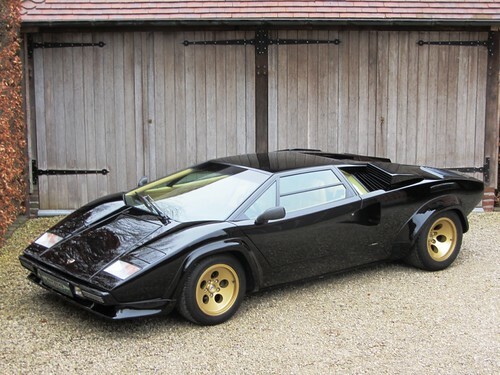 Lamborghini Countach 5000 Quattrovalvole (1986). 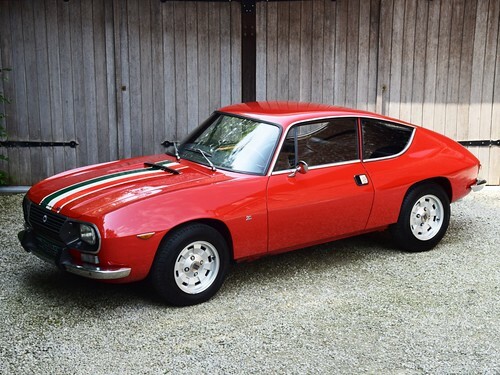 Lancia Fulvia Sport Zagato 1600 (1972). 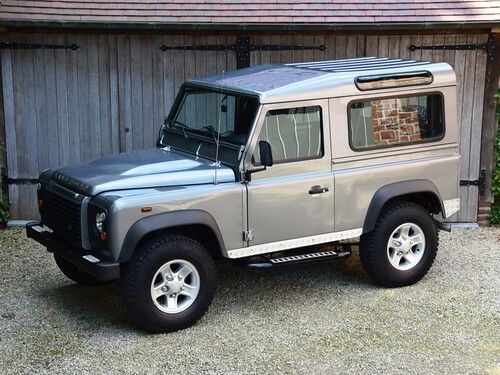 Land Rover Defender 90 (2011). 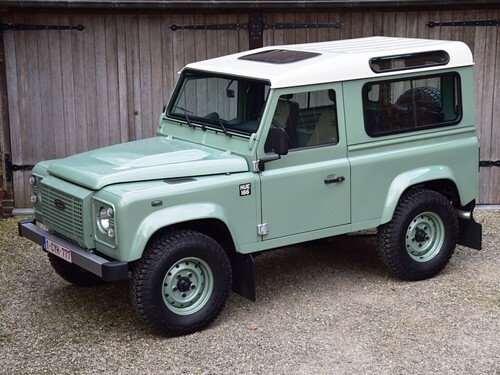 Land Rover Defender 90 Heritage (2015). 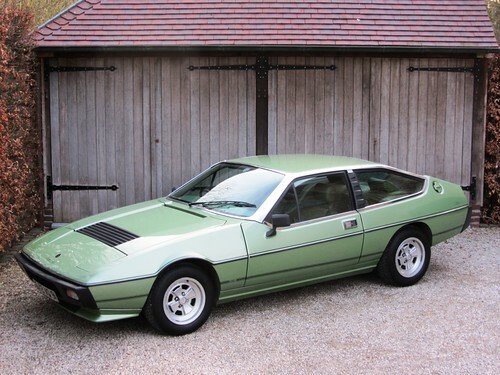 Lotus Eclat S2 (1980). 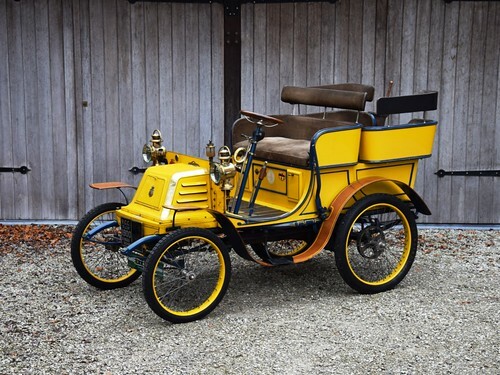 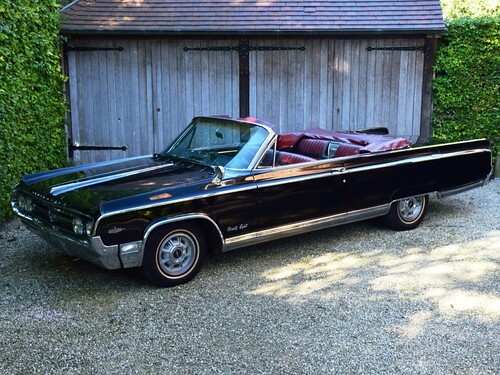 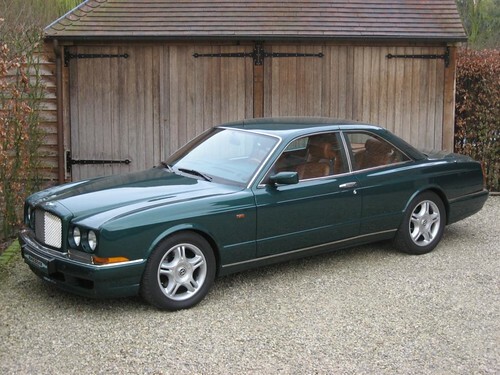 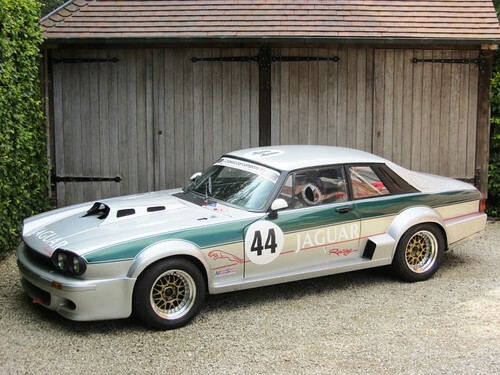 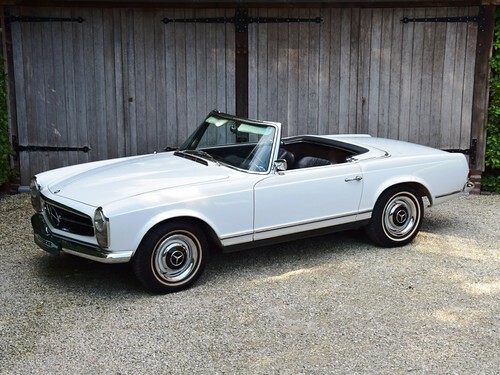 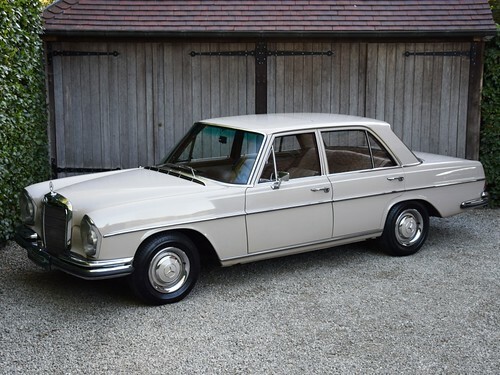 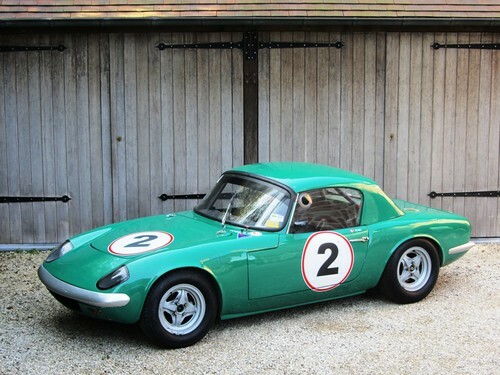 Ex-Colin Chapman. 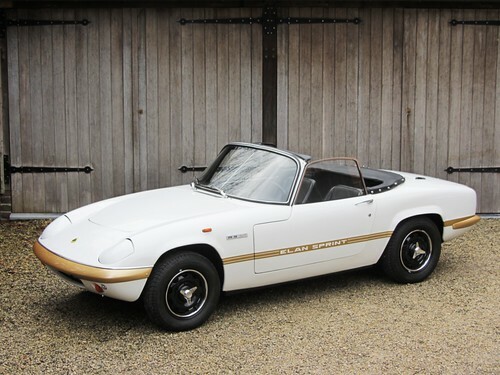 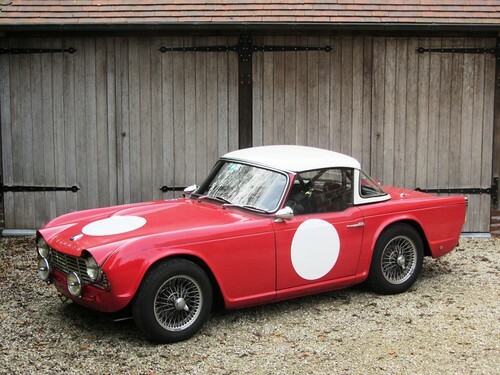 Lotus Elan S2 to 26R specification (1965). 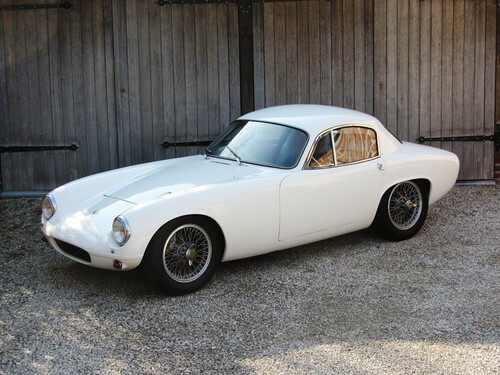 Lotus Elite Super 100 (1961). 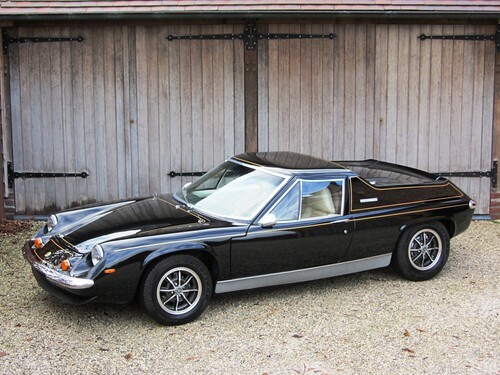 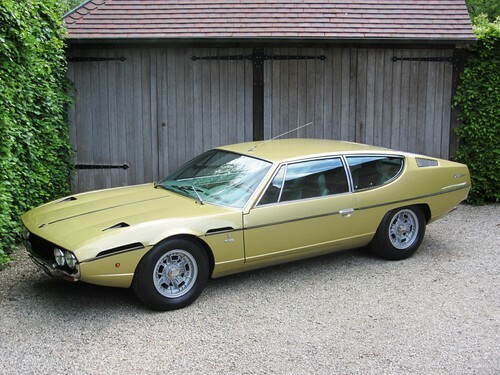 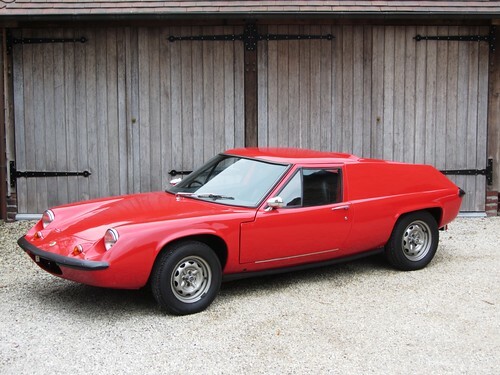 Lotus Europa Twin Cam Special (1973). 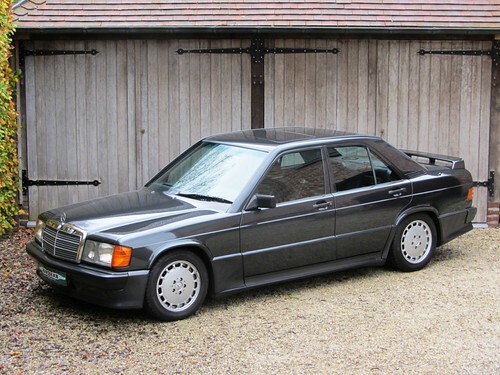 Mercedes 190E 2.3-16 Cosworth (1985). 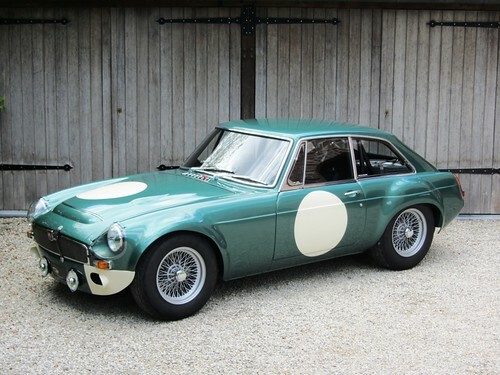 MGC GTS Sebring (1967) LHD. 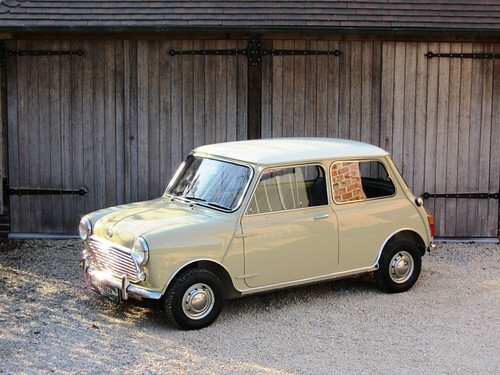 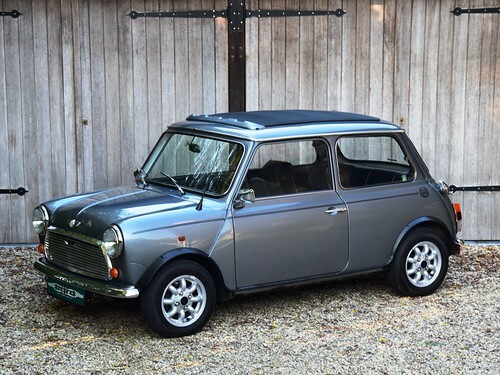 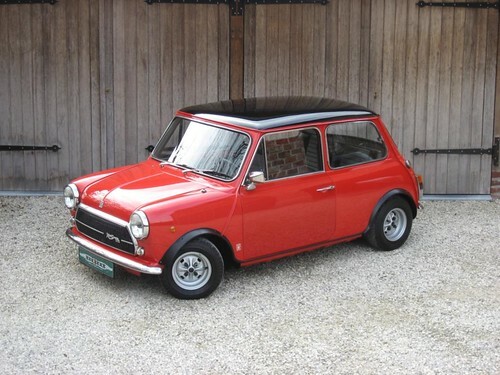 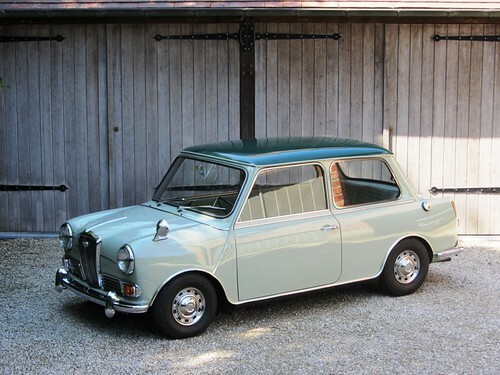 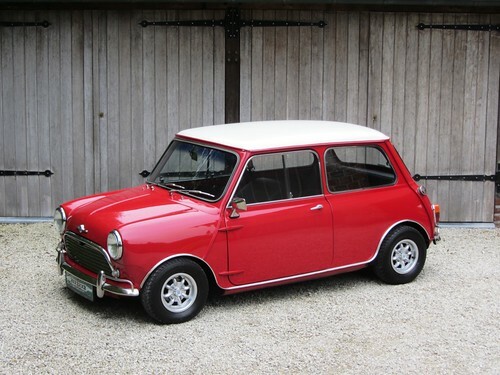 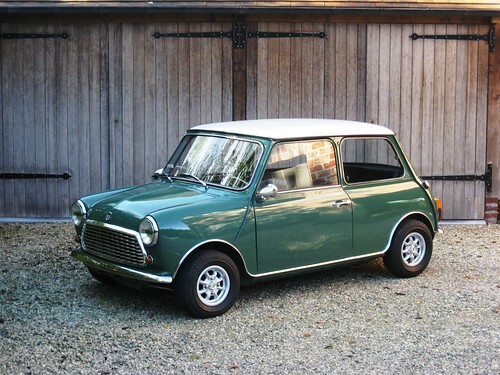 Morris Mini Cooper Mk1 (1965). 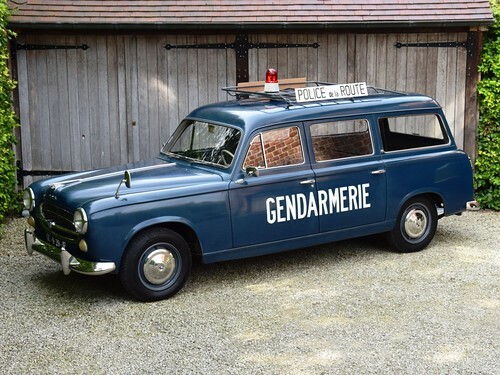 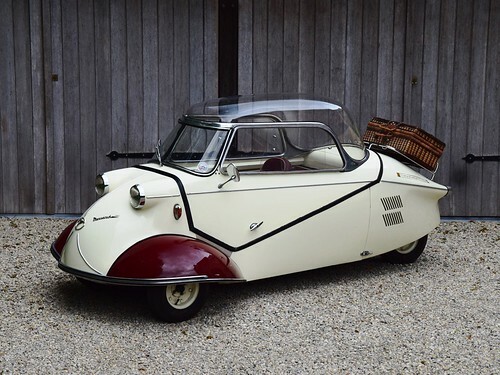 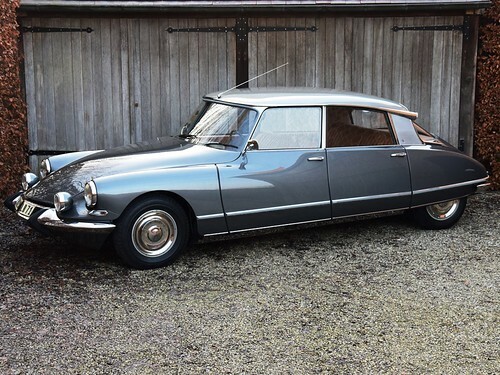 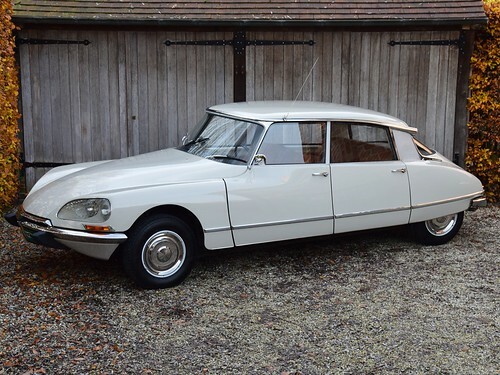 Peugeot 403 Break "Gendarmerie" (1959). 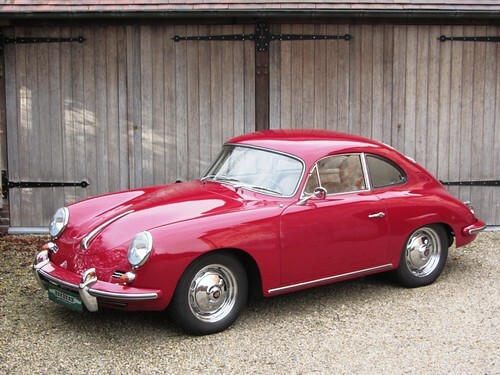 Porsche 356 B Super 90 (1962). 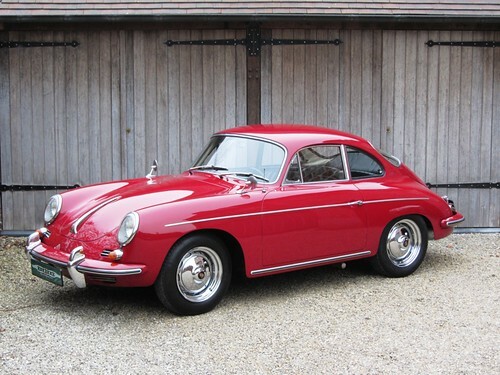 Porsche 356 B T5 1600 Super (1962). 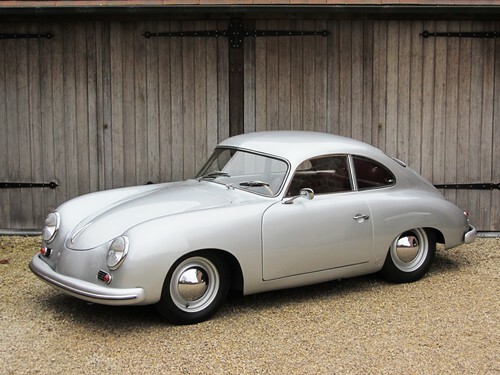 Porsche 356 Pre A (1953). 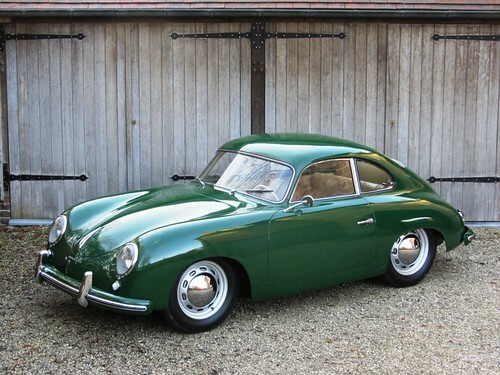 Porsche 356 Pre A (1954). 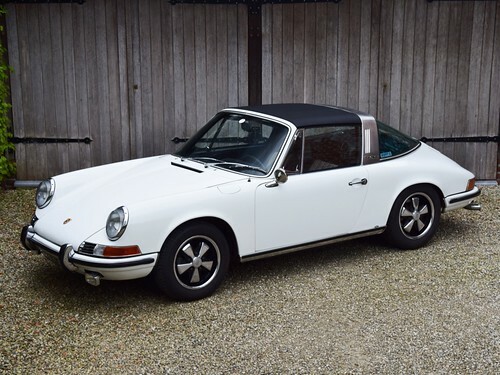 Porsche 911 2.4 E (1972). 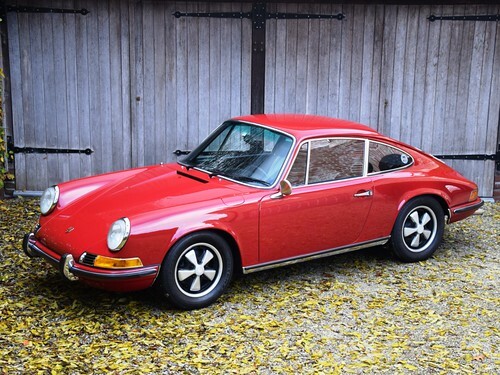 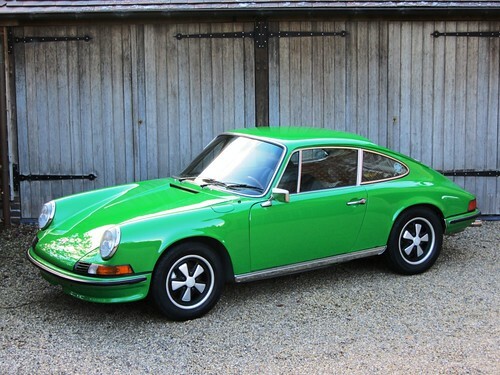 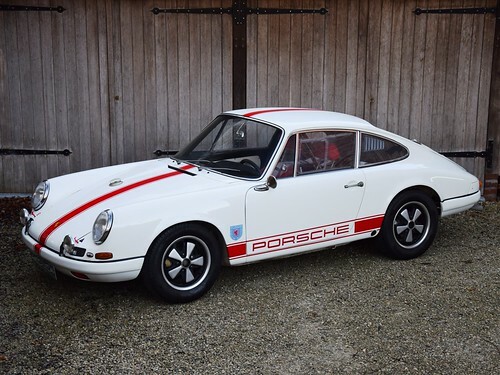 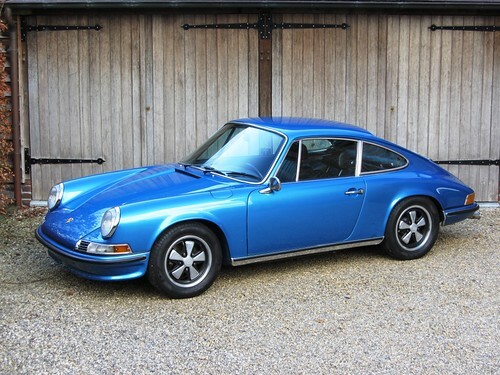 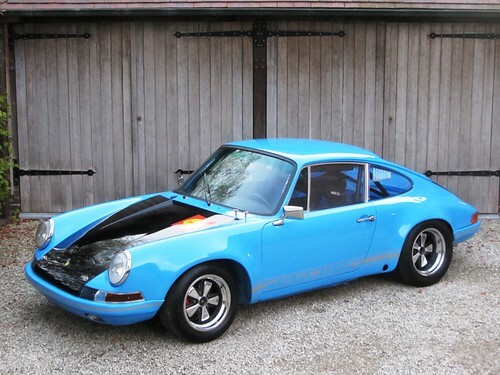 Porsche 911 2.4 S (1973). 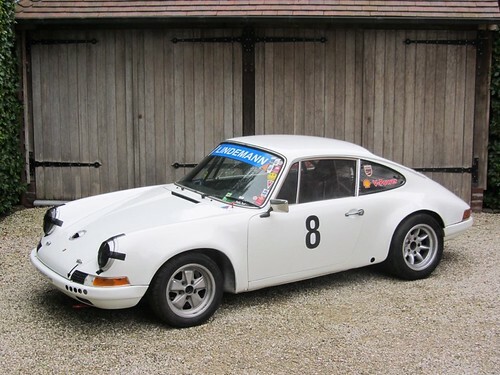 Porsche 911 E 2,0 (1968). 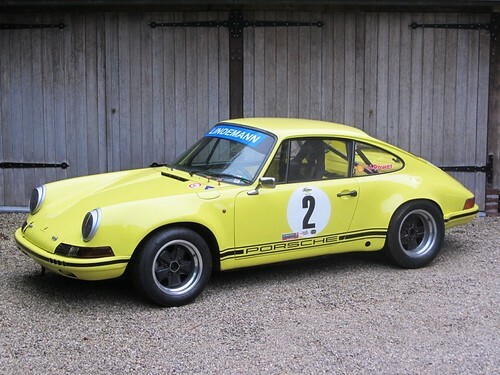 Porsche 911 S (1971) FIA Historic Racing Car. 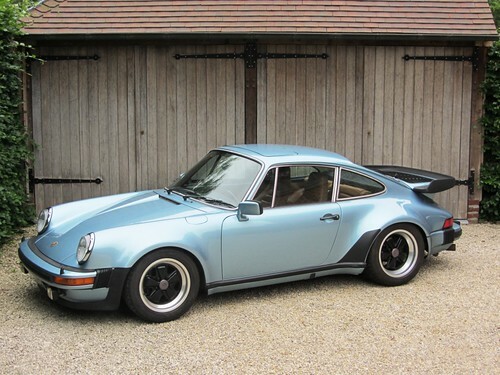 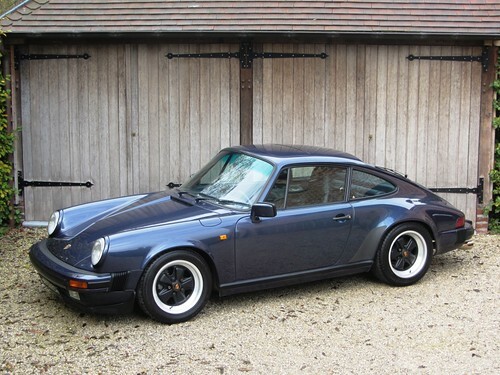 Porsche 930 Turbo Coupé (1979). 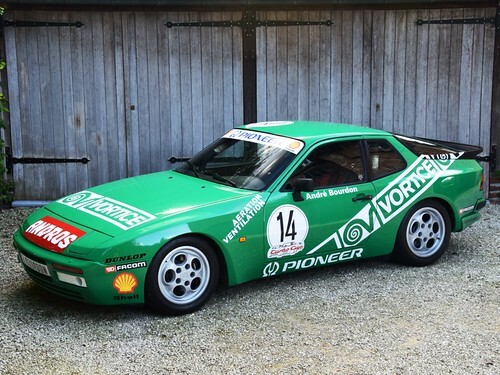 Porsche 944 Turbo Cup (1989). 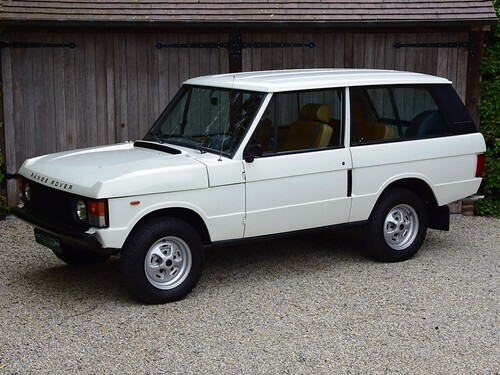 Range Rover 3-drs "Suffix G" (1979). 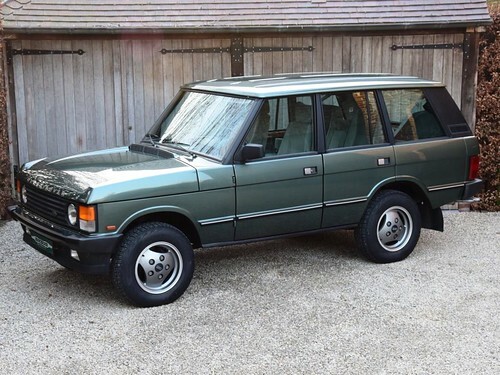 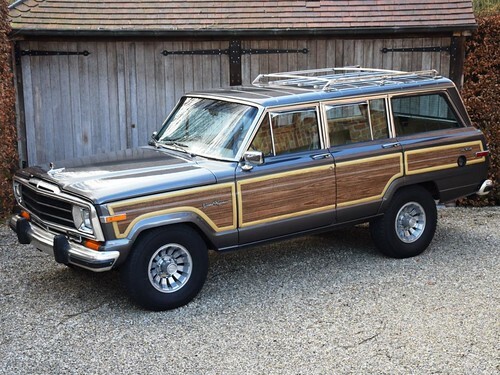 Range Rover Vogue EFI (1986). 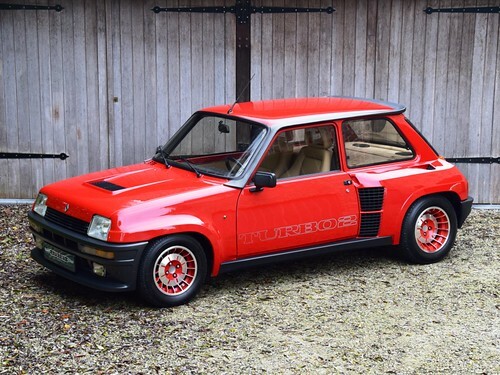 Renault 5 Turbo 2 (1985). 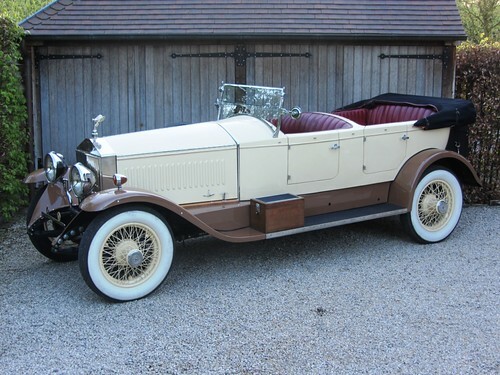 Rolls-Royce Phantom I Hooper Open Tourer (1926). 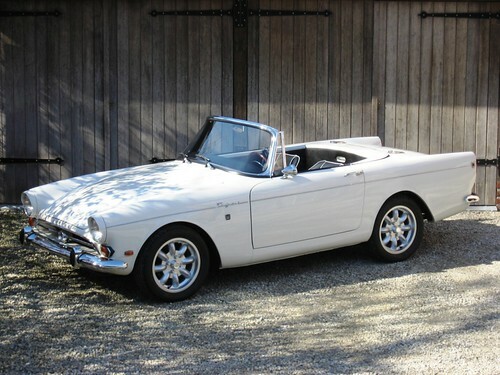 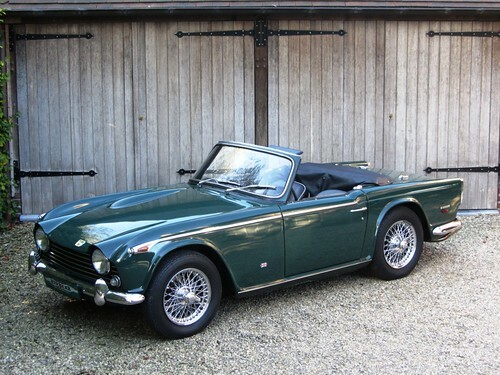 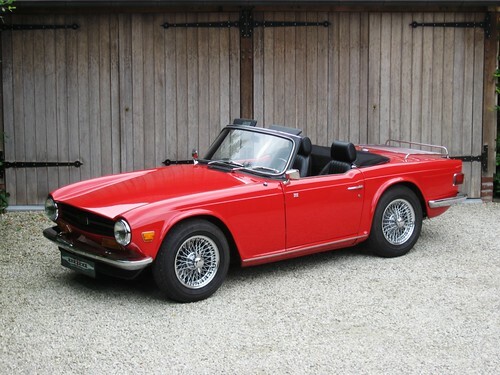 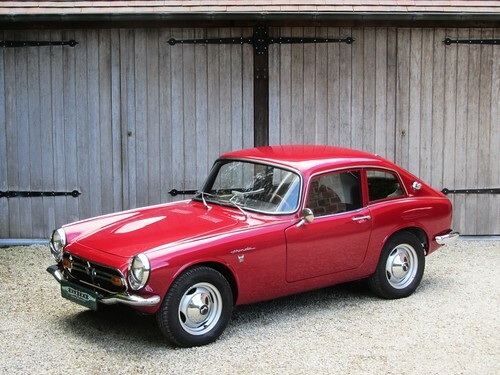 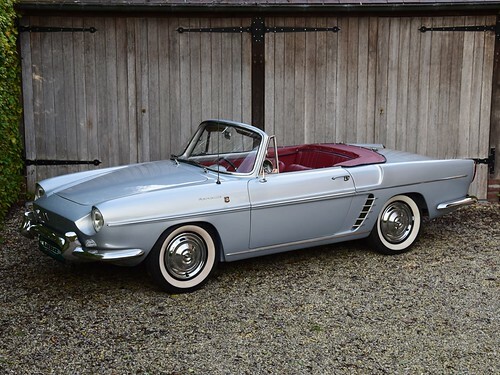 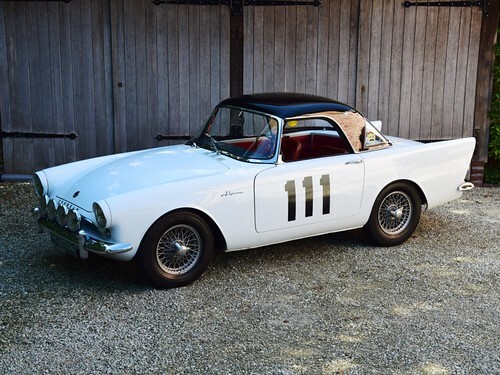 Sunbeam Alpine Mk1 (1960). 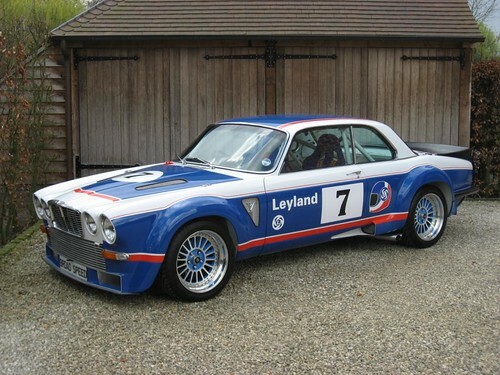 Rallye Monte Carlo winner. 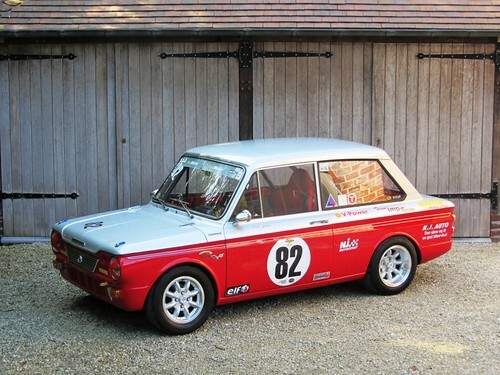 Sunbeam Imp FIA historic racing car (1964). 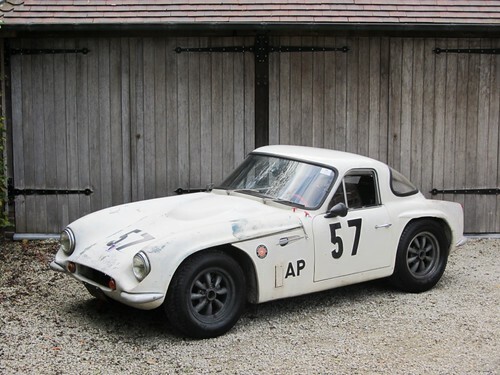 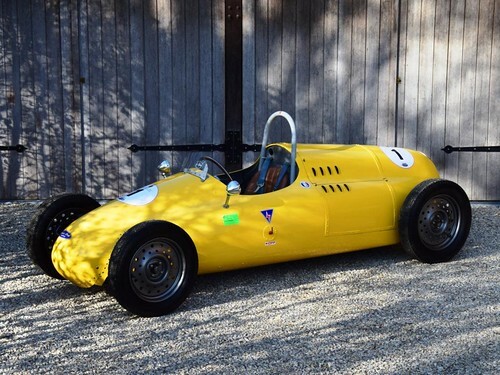 Tornado Talisman (1962) FIA Racecar. 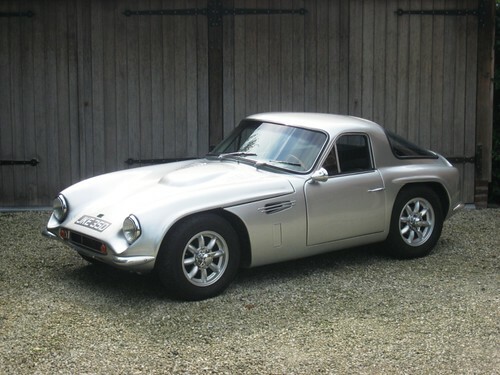 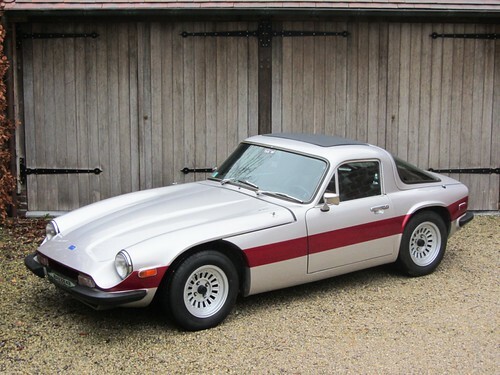 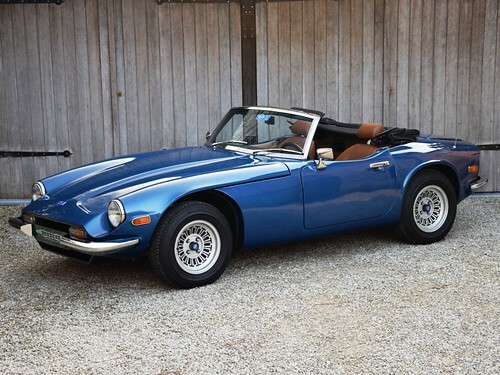 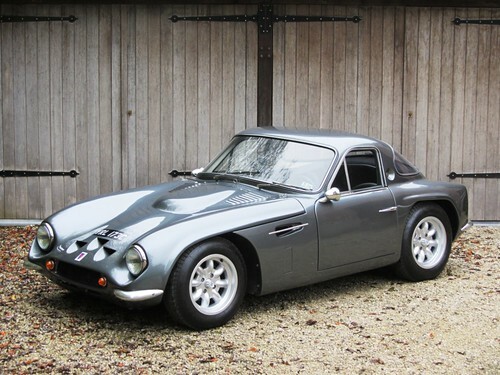 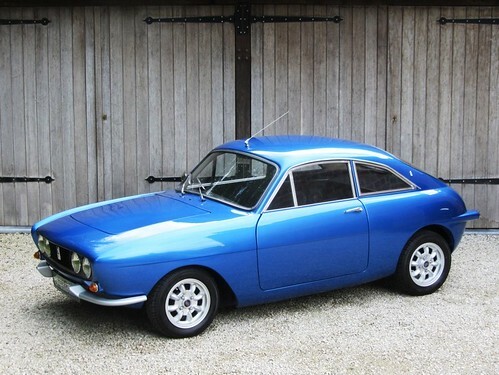 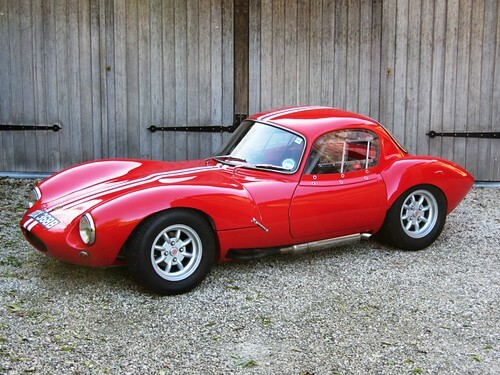 TVR Griffith 400 (1966) LHD.